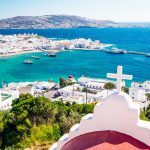 Mykonos travel blog — The fullest Mykonos travel guide blog for a budget trip to the paradise island for the first-timers - Living + Nomads – Travel tips, Guides, News & Information! 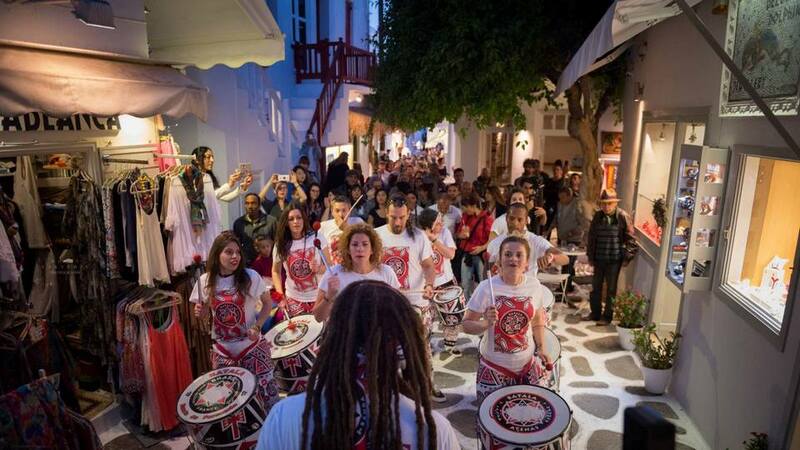 Mykonos is really the ideal play spot for partygoers. 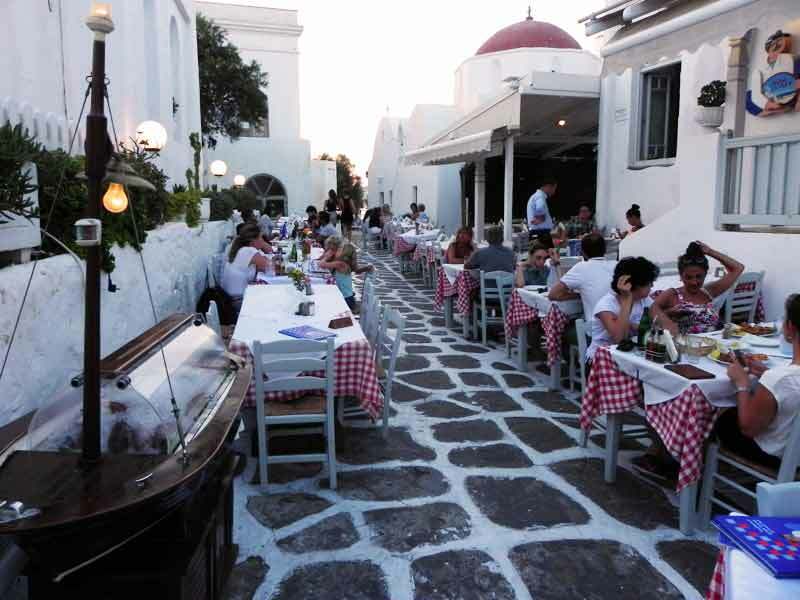 The bars, discotheques open until morning and trendy shops satisfy the needs of any “connoisseur” traveler. 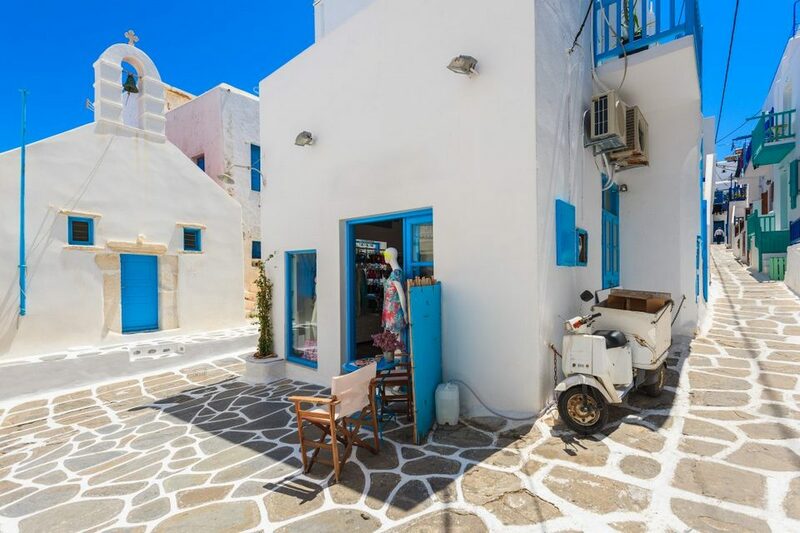 For those who love quiet space, and explore, Mykonos still has small alleys, with beautiful architecture houses, where life passes much more gentle. 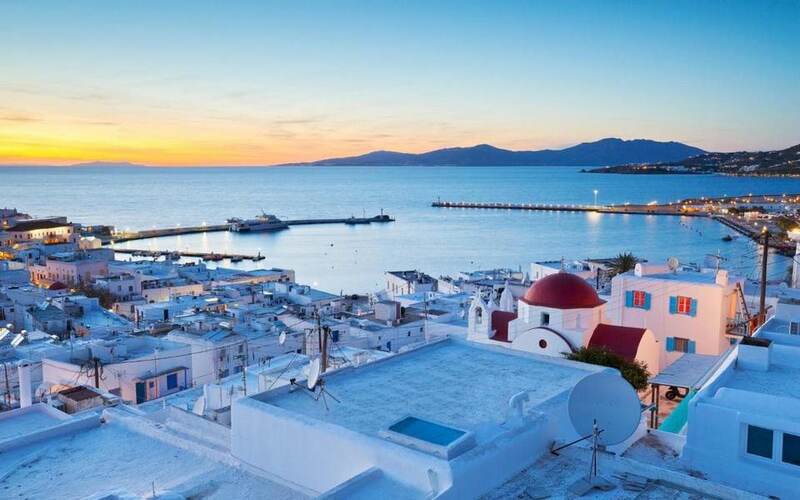 You can also drop yourself on the small beaches scattered in this tourist city, and enjoy the magnificent sunset scene on the Aegean sea. 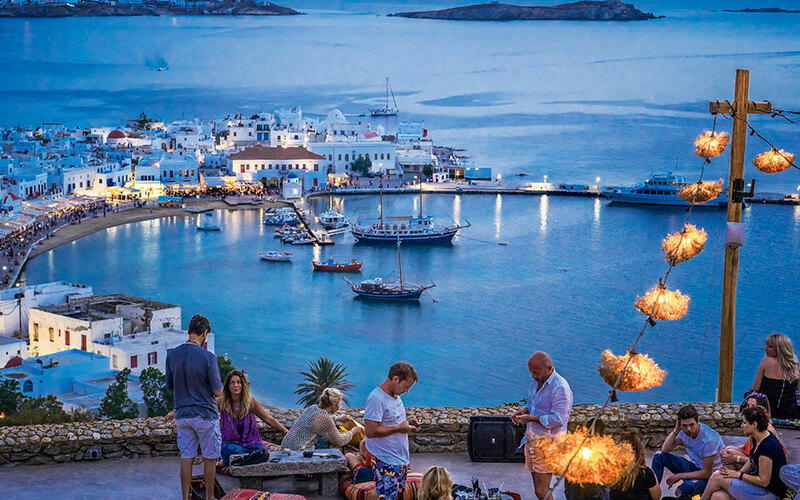 Famous for its white sandy beaches, picturesque signature architecture and nonstop parties, Mykonos Island is a tourist destination attracts million of visitors to experience and explore the legendary Greek culture. 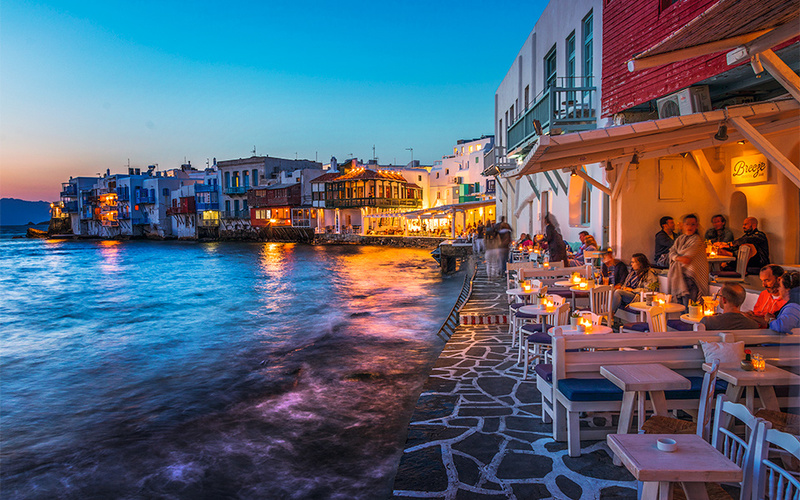 Mykonos is also famous as an island with expensive travel costs. 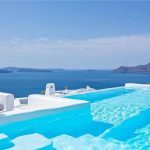 So, let’s check it out our Mykonos travel blog (Mykonos blog) on how to travel Mykonos on a budget with the fullest Mykonos travel guide blog for a budget trip to paradise island of Mykonos, Greece for the first-timers below. 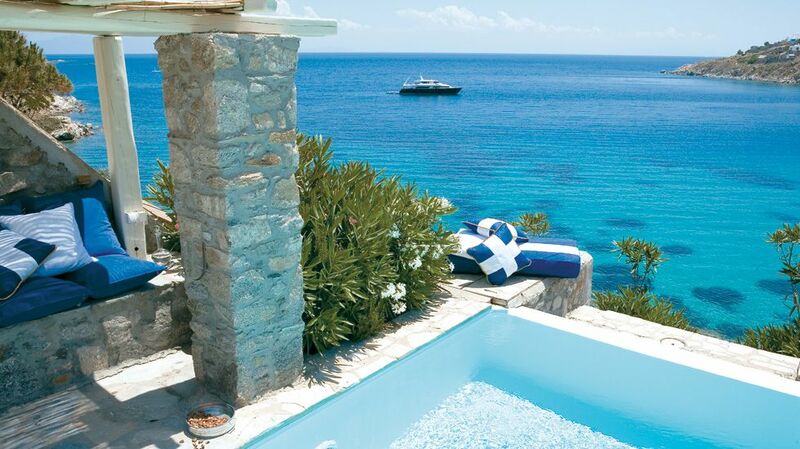 An extremely beautiful and attractive island with wind and sunshine and the deep blue of the Mediterranean Sea. Beachfront restaurants. 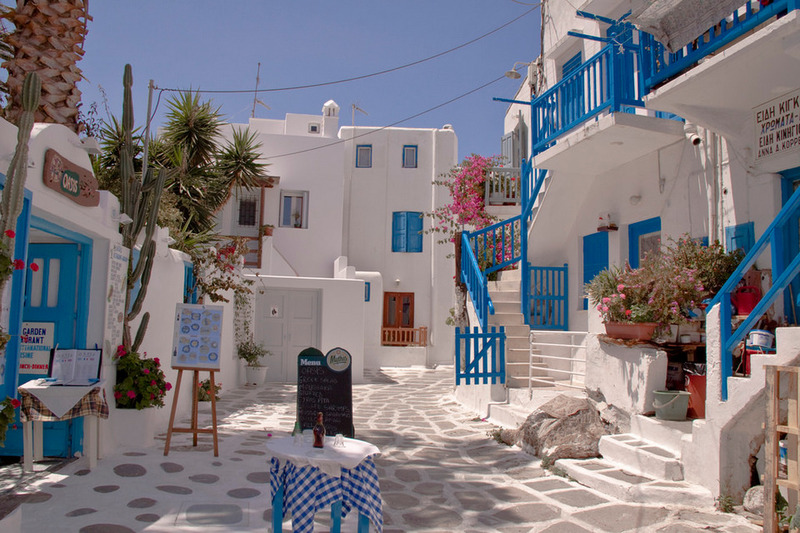 Picture: mykonos travel blog. 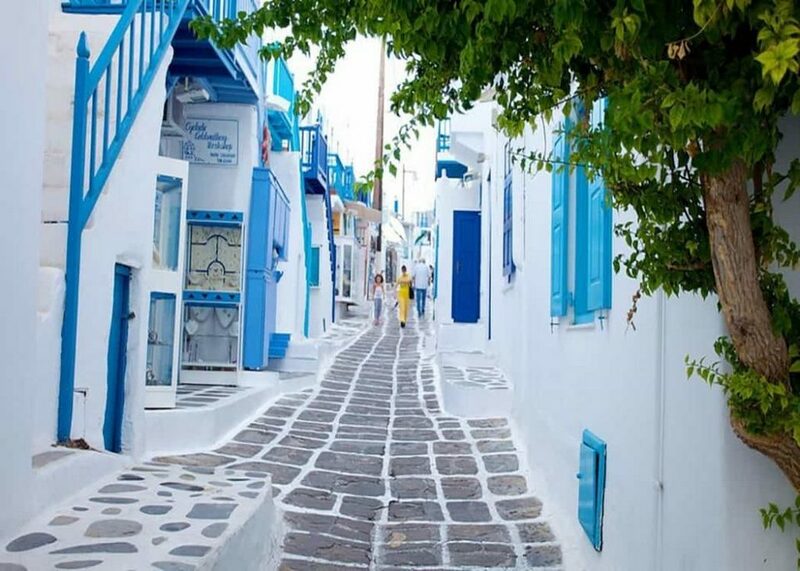 Streets of Mykonos. 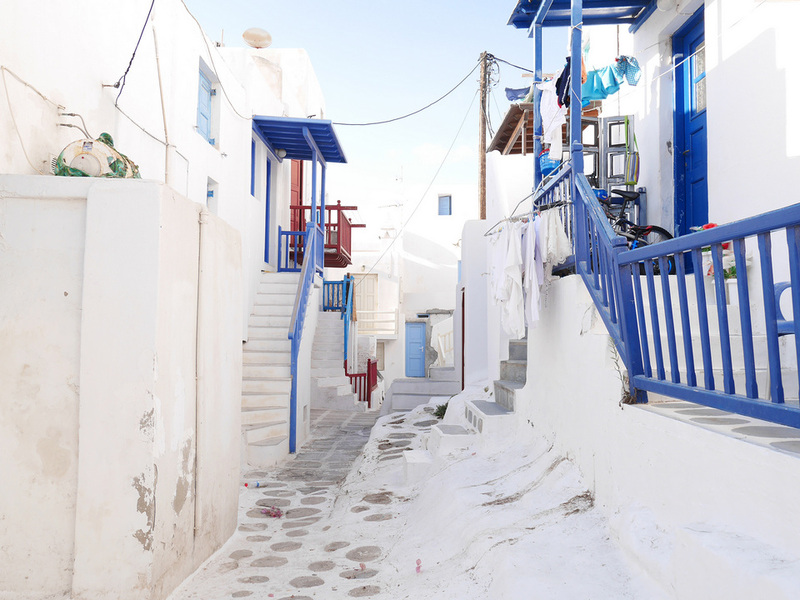 The houses here are painted white with dark blue windows. 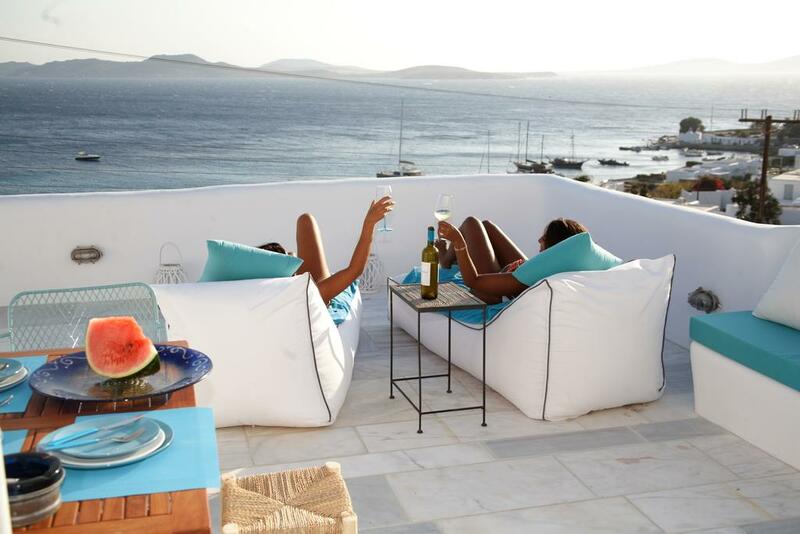 Picture: mykonos travel blog. Magical at night. 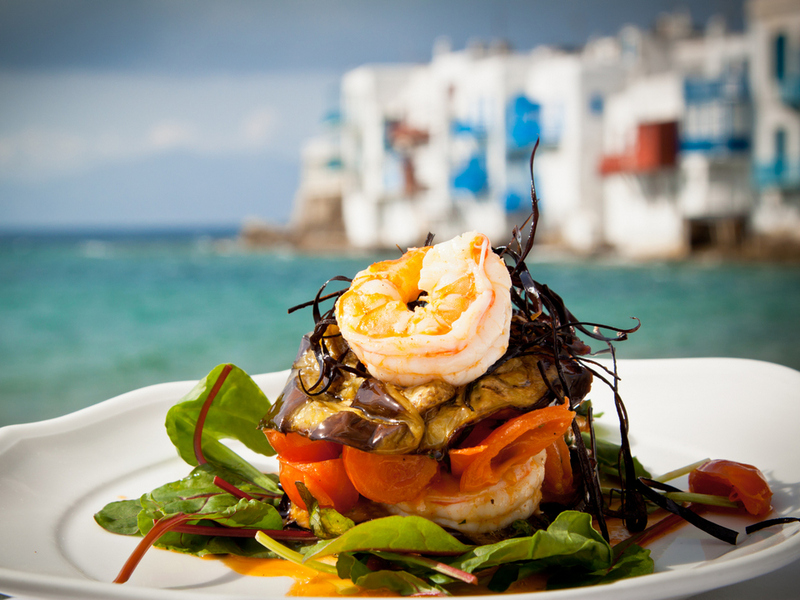 Picture: mykonos travel blog. 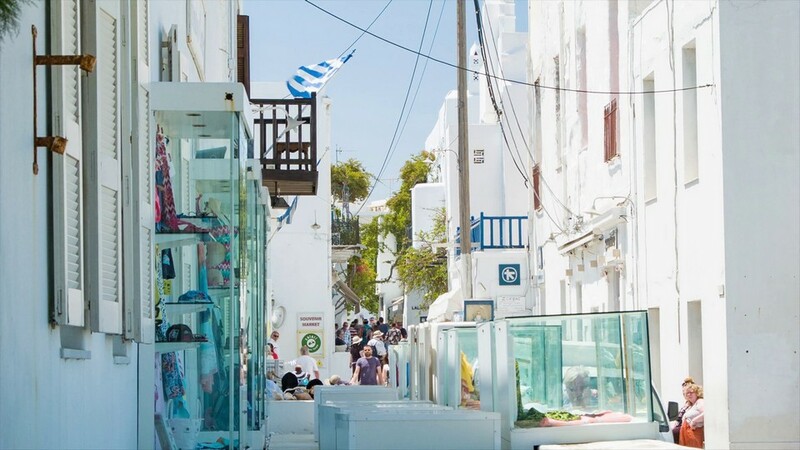 Mykonos blog: When is the best time to visit Mykonos? 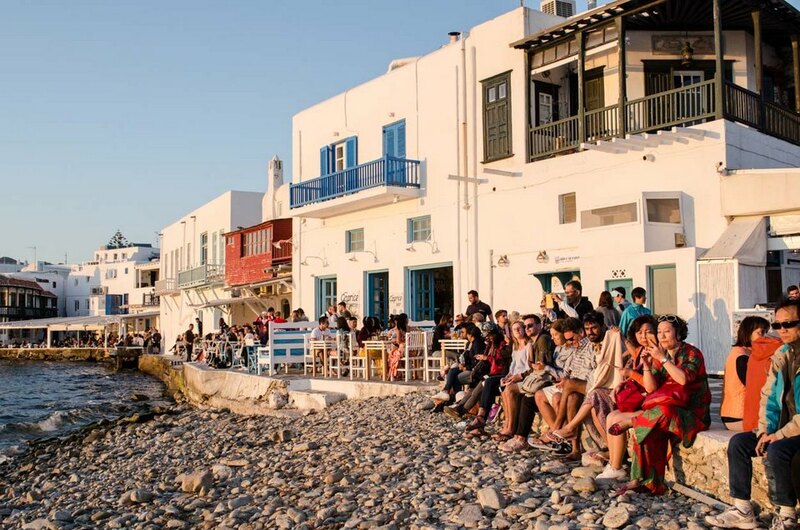 If you are planning to travel to Mykonos, the advice for you is should visit from mid-May to October because this time the weather is cool, the sea water is warmer and the services price is stable. Should avoid July and August because these two months are very crowded tourists, the cost will increase very high. 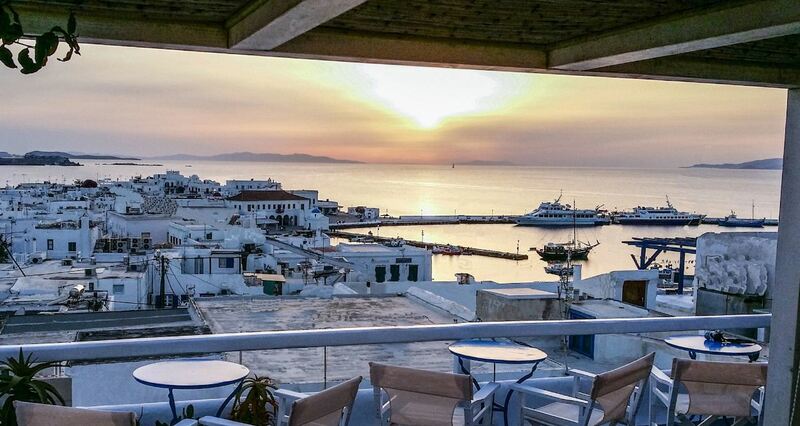 Best time to visit Mykonos from mid-May to October. The cost of the trip depends mainly on the high or low season. 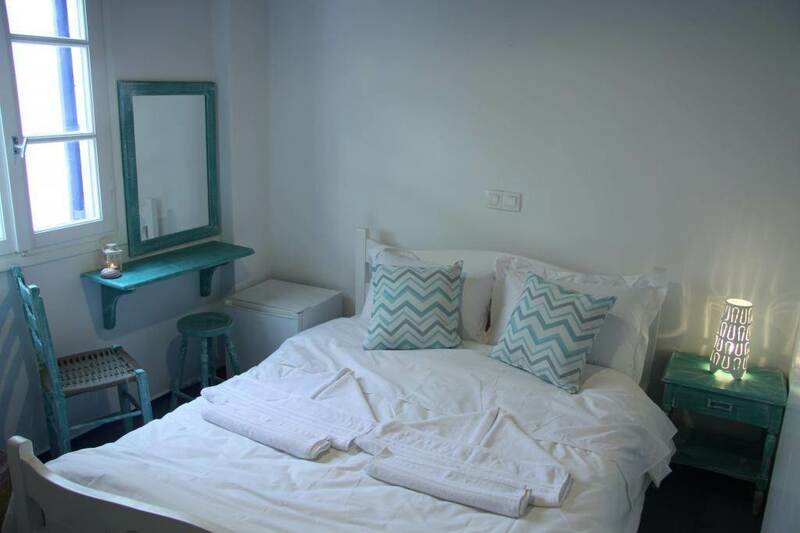 July 20 – August 20 costs can be up to 100-200 € / day (rates apply for standard rooms and restaurant meals). 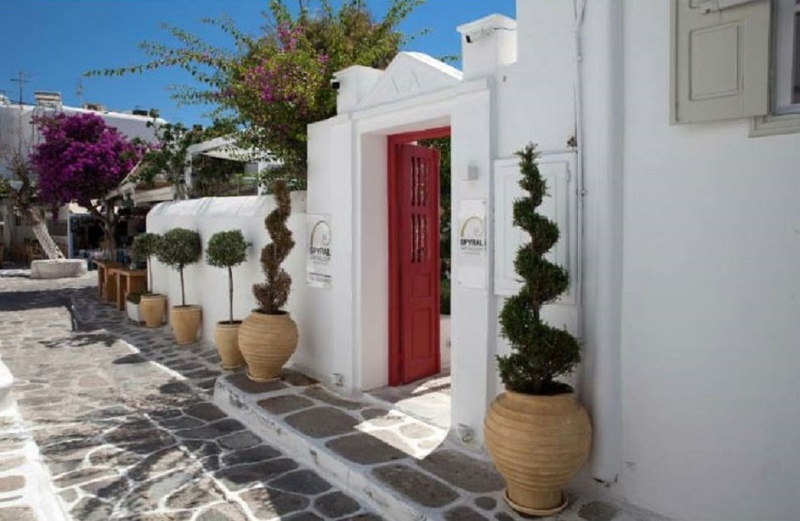 Instead of choosing hotels in the central area, you can choose hotels in Chora town. 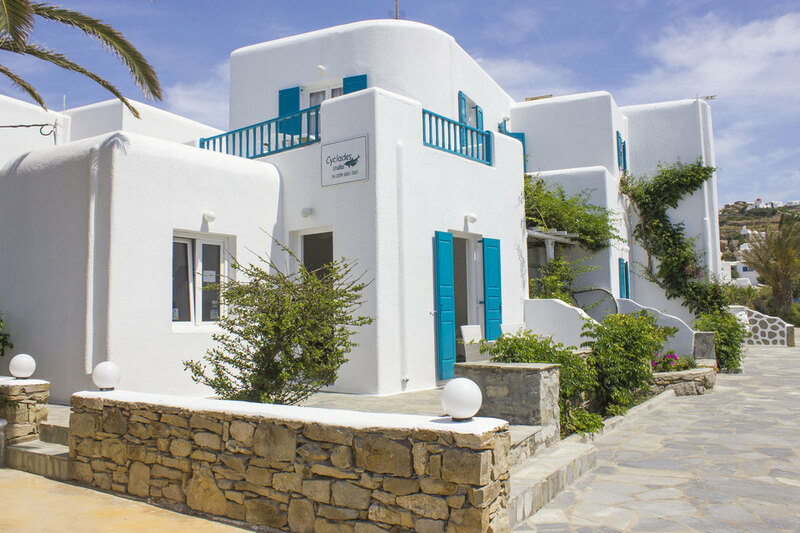 A 2-star hotel with full service costs EUR 70 per night, a dormitory on Paradise beaches for EUR 15 per night. 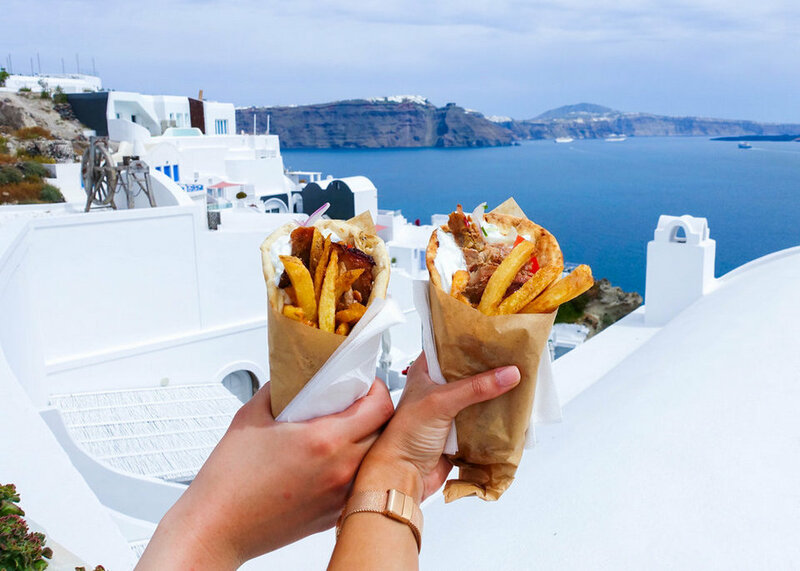 Depending on your financial condition, you can choose from a budget meal of about 15 € / meal or fast food for about 5 – 10 € / meal. 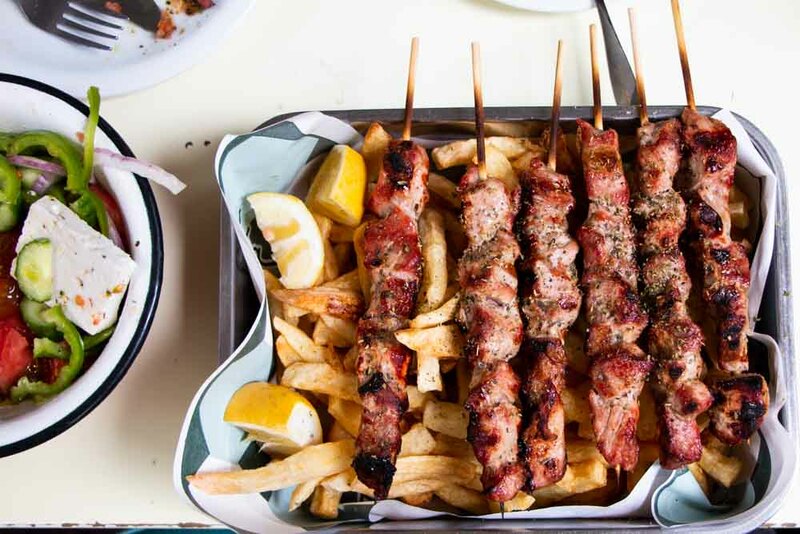 The eateries have average costs from 10-20 EUR or you can enjoy Souvlaki barbecue and Greek famous Gyros kebab food for from 2 EUR. You should avoid restaurants in the town center. 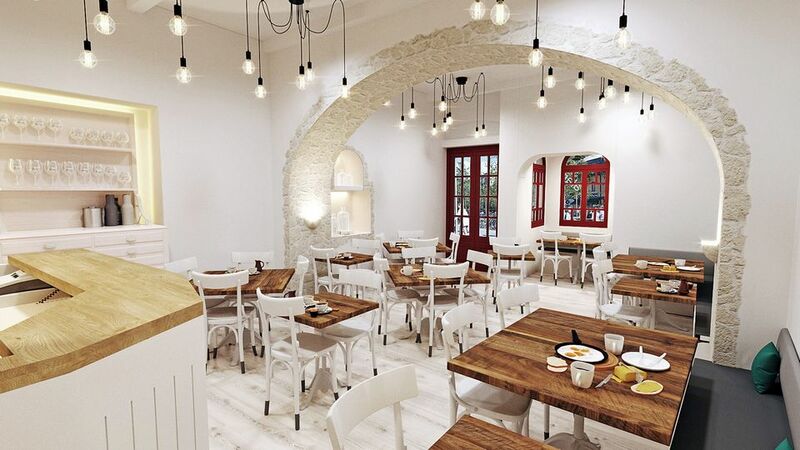 The same dish and the same quality restaurant but if you eat at a restaurant on the suburb of the town , the price will be about 30% cheaper. 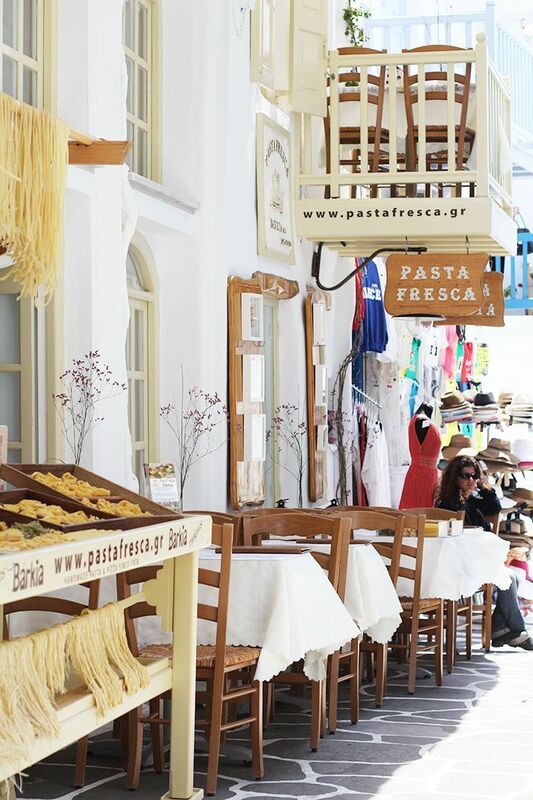 At some grocery stores, you only need to pay EUR 50 – 55 for a week of dining including fast food such as pasta, sandwiches or vegetables. The most economical way is to rent a motorbike, but be aware, you must have an international driver’s license. 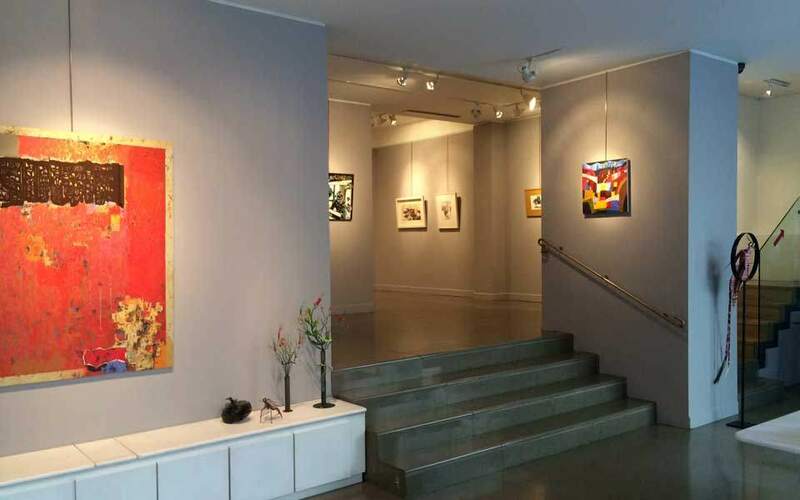 In addition, the bus is also a suitable choice for you. The bus ticket is EUR 1.6, the night bus costs EUR 2 (depending on your travel route). 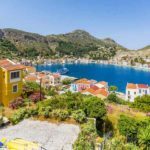 If you travel in a large group of people, can travel by taxi, the taxi fare on the island ranges from EUR 12 for a 3km journey. 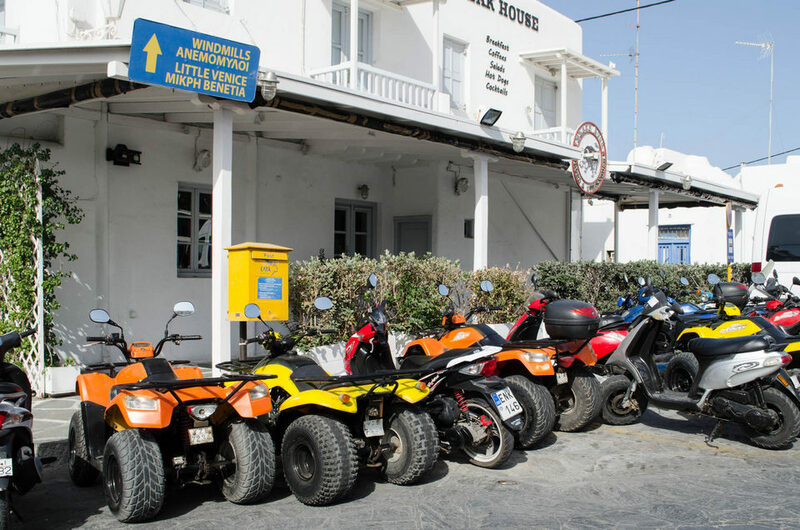 However, taxis on the island are relatively limited and so, may have to wait a long time. Taxi prices depend on your travel distance and travel time. 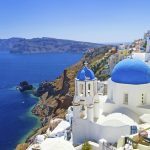 Mykonos travel blog: How to get to Mykonos from Vietnam? 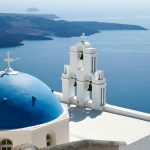 Ho Chi Minh City – Athens route is operated by these airlines: Qatar Airways has a reference price of EUR 495; Vietnam Airlines is priced at 490 EUR; China Southern Airlines is 500 EUR. 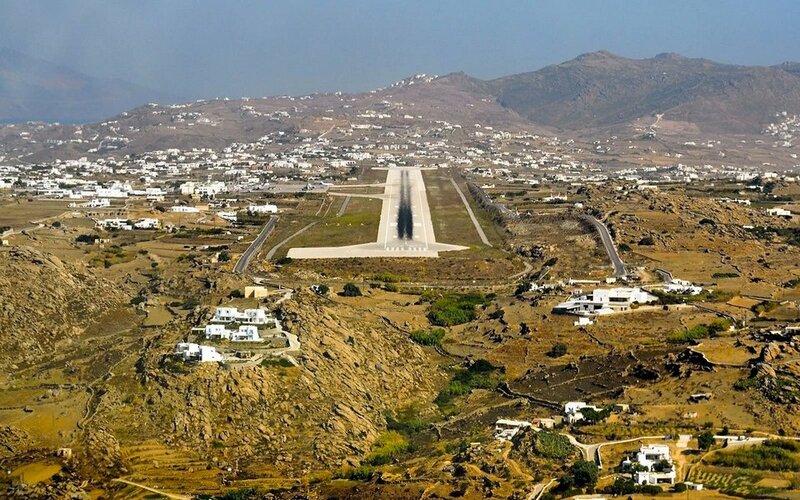 Mykonos Airport (JMK) is located not too far from Mykonos town center, about 4km. 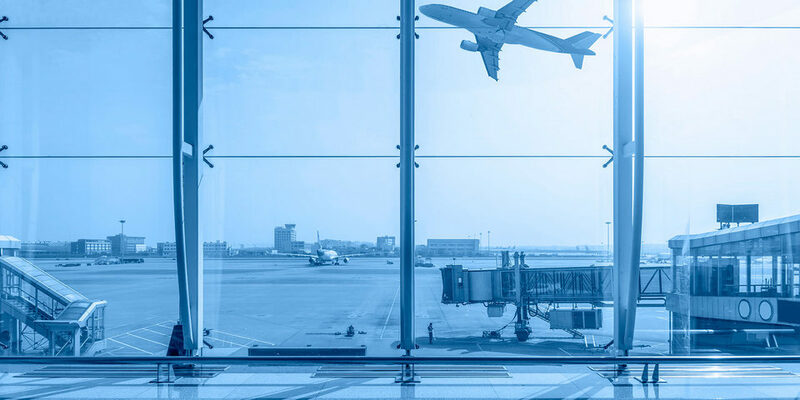 The airport received nearly 1.5 million visitors in 2018 on flights of 31 airlines departing from other cities in Greece, Europe and the Middle East. 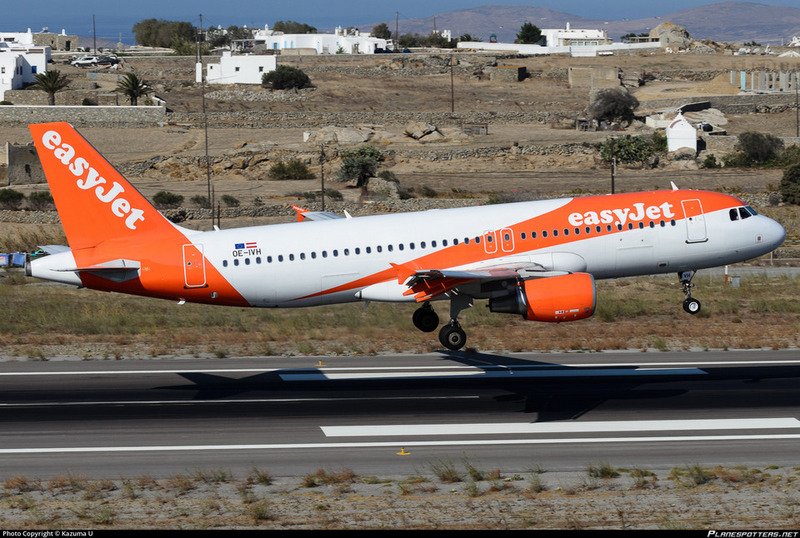 The airfares for Athens – Mykonos flights ranging from EUR 61 to EUR 210, depending on the airlines and the time. 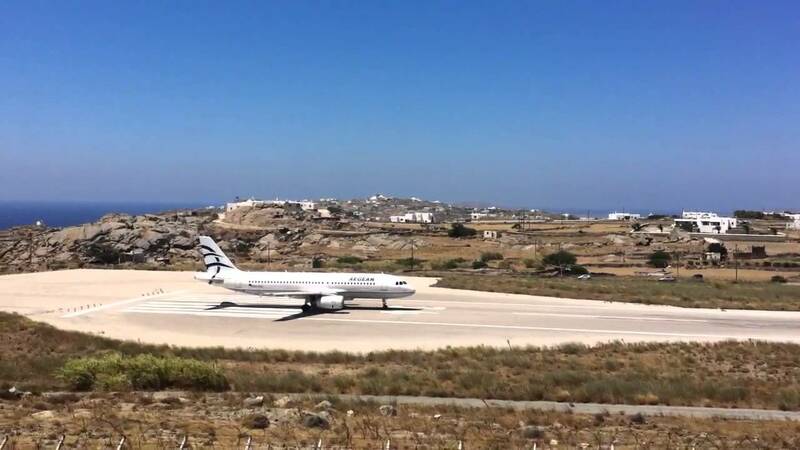 From Mykonos Airport, visitors have many options to move to the town center (Chora) and other places of interest. 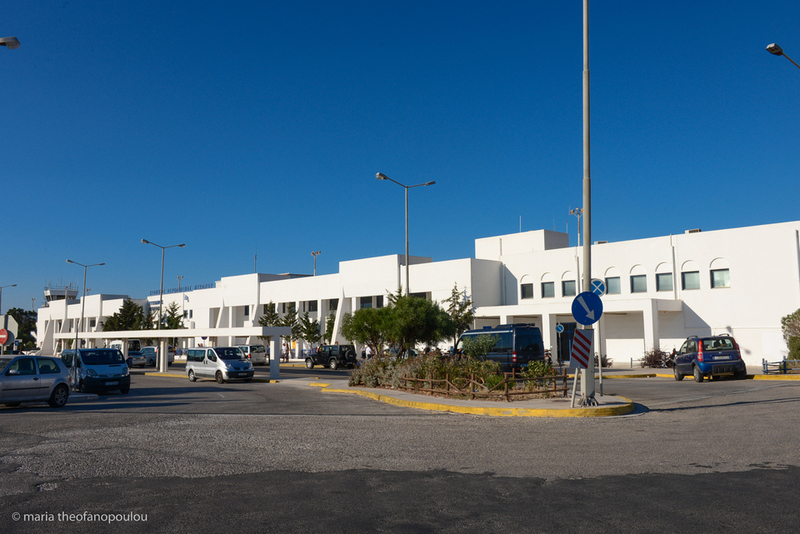 The first means is a shuttle bus route stop right in front of the airport terminal. Depending on the destination, you can buy tickets from your driver at different prices. 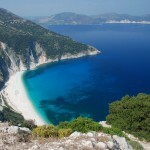 The second option is a 24-hour taxi service outside the airport for about 15 Euro for the journey to Chora. 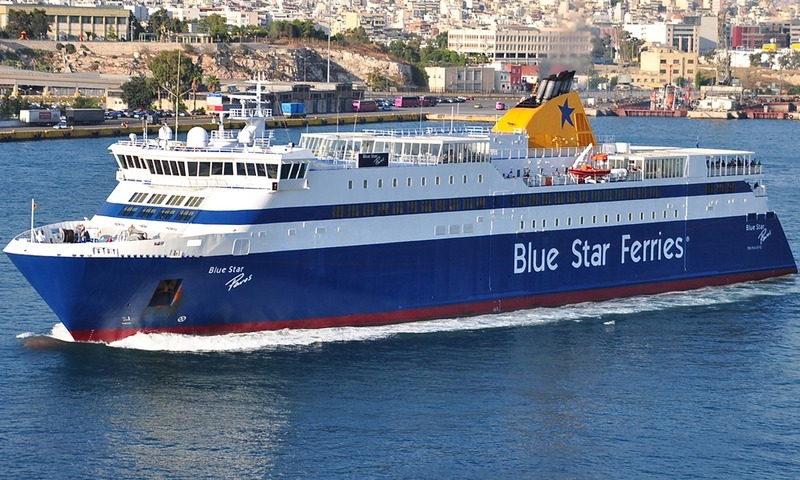 You can catch Blue Star Paros ferry cruise ship to Mykonos or Santorini, etc. 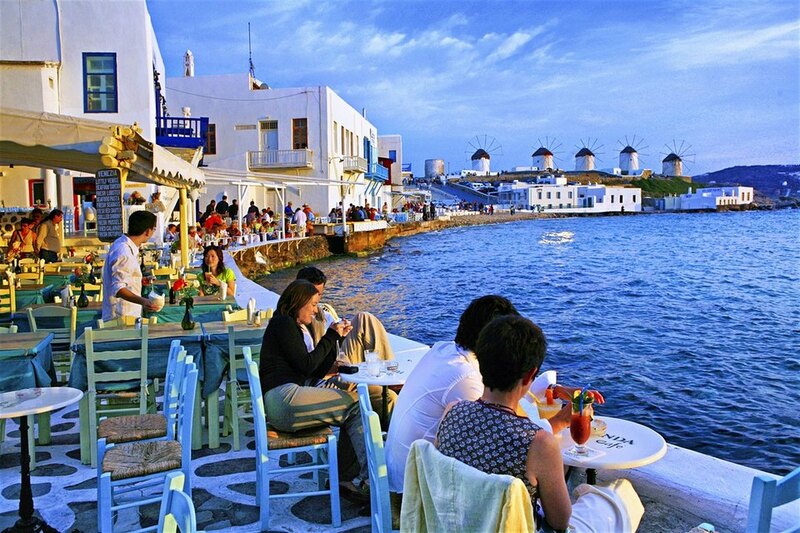 Mykonos is also located in the Island-Hopping route (inter-island traveling) favored by many tourists. 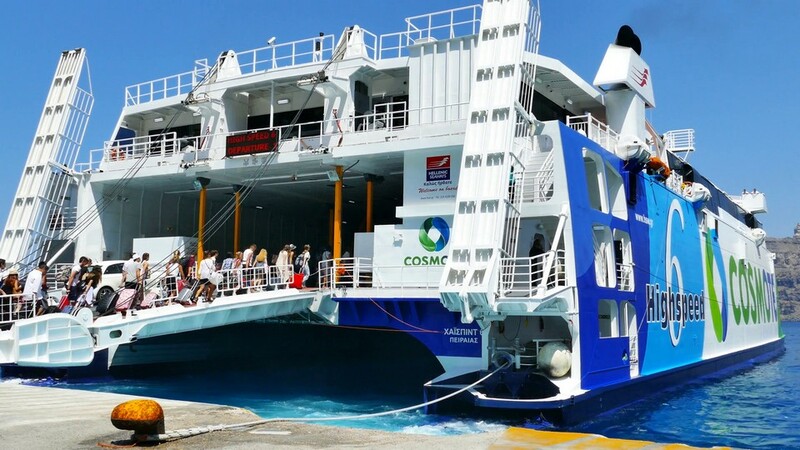 Therefore, the ferries to the island operates continuously during the day at an affordable price, very suitable for those who traveling self-sufficient to Greece. 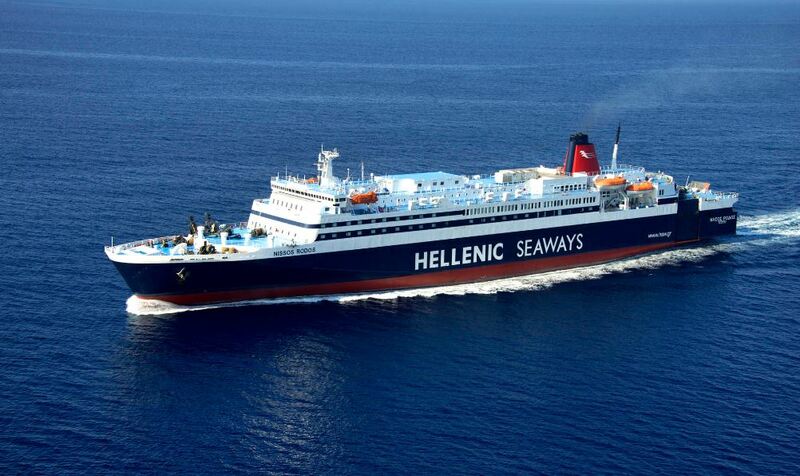 There are 3 major ferry carriers Blue Star, Hellenic Seaways and SeaJets. 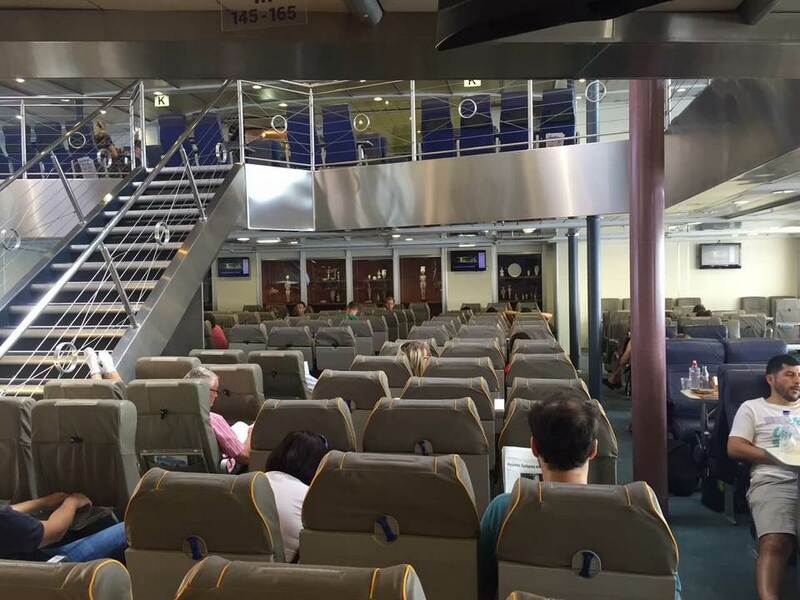 In which, Blue Star Ferry is the most favorited. 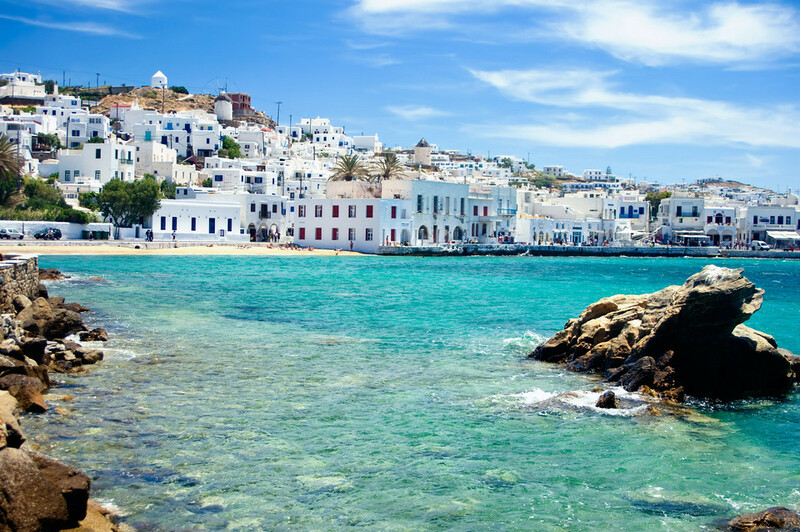 Ferry to Mykonos Island departs from the two main ports of Athens is Piraeus and Rafina. 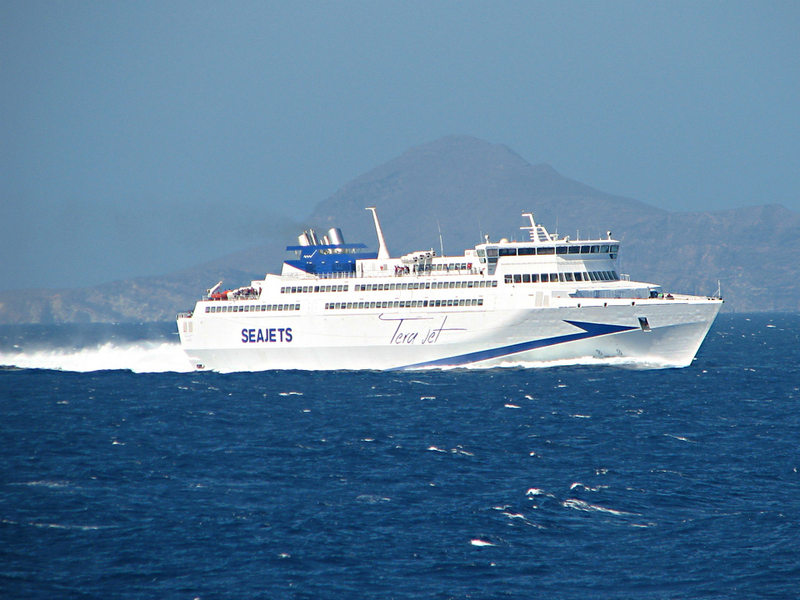 These ferries operate continuously throughout the day, with each journey lasting from 3-6 hours depending on the route and type of ferry. 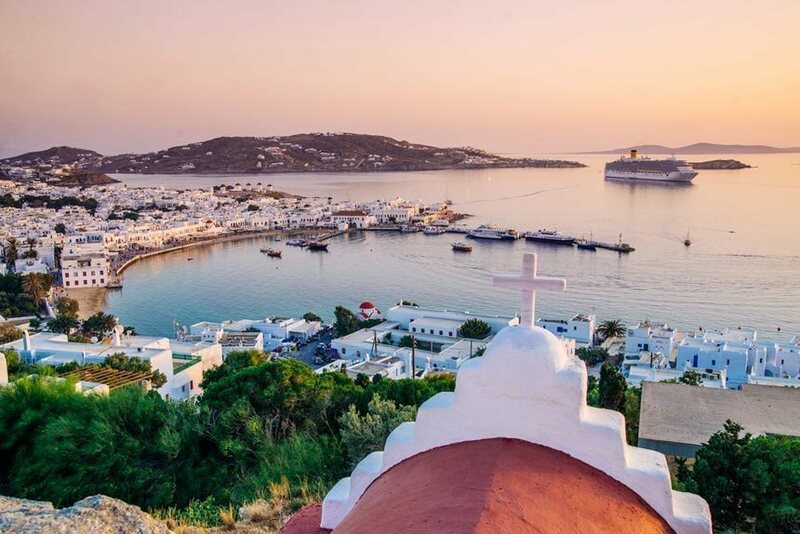 Ferries also cross many other islands in the Cyclades island group, including Santorini, Paros, Naxos, Syros, Andros, Tinos, … The ferry ticket for Athens – Mykonos journey is between 34-71 Euro depending type of ticket. 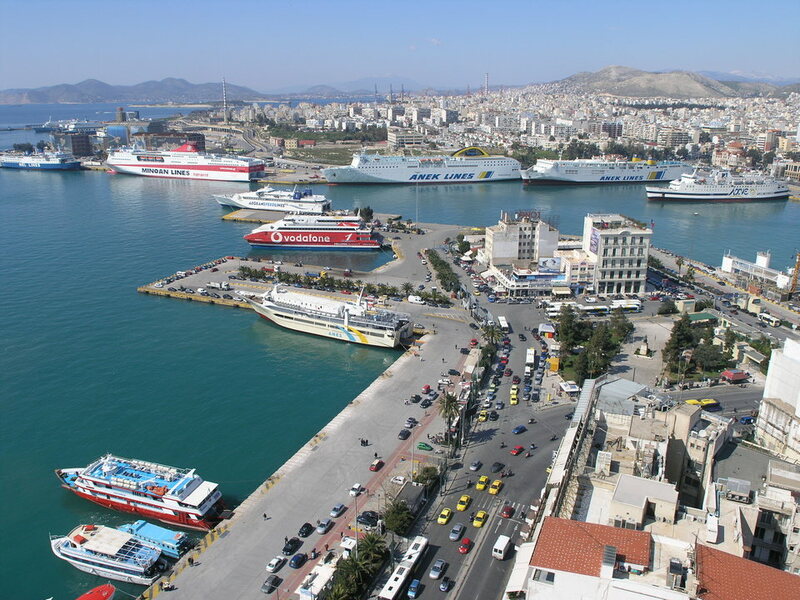 Port of Piraeus in Athens. 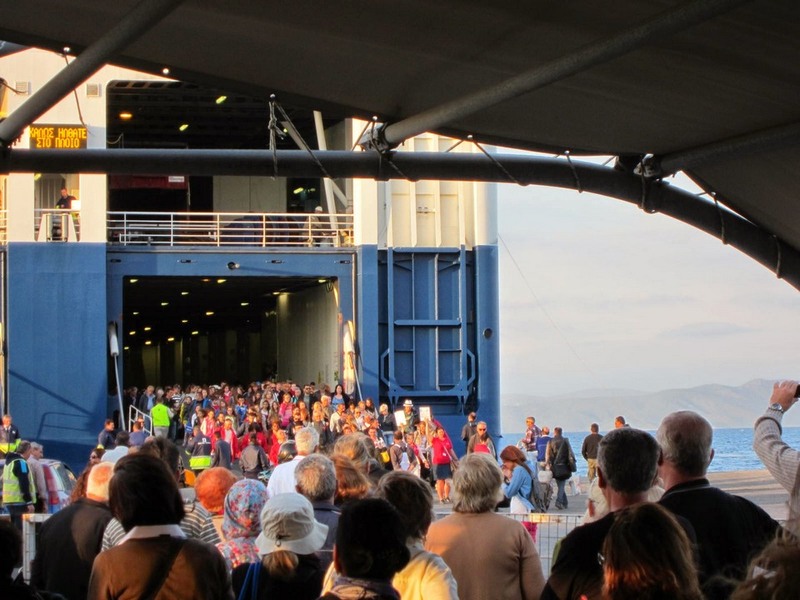 You should come to the port as soon as possible because it is very large, easy to get lost and late to board the ferry. 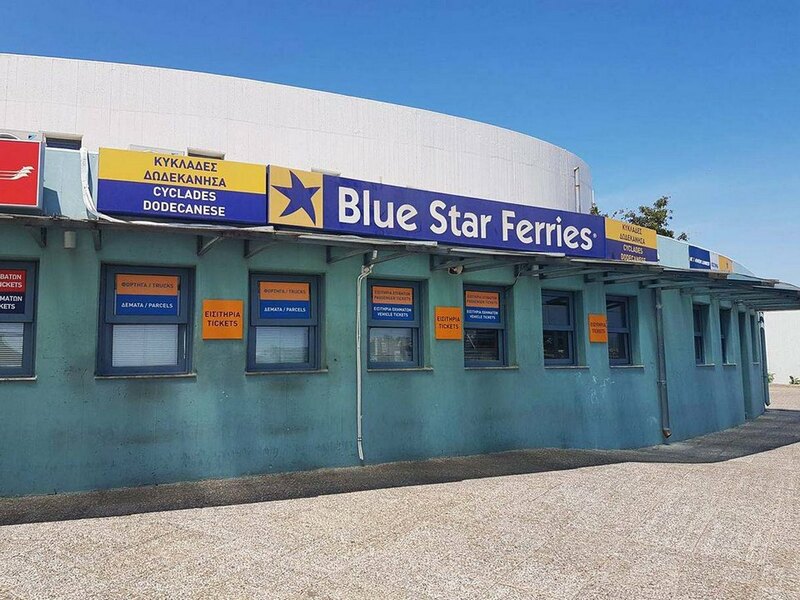 You can buy ferry tickets directly from Blue Star Ferries, Hellenic Seaways, or SeaJets or buy directly at ticket booths of the Athens ports. 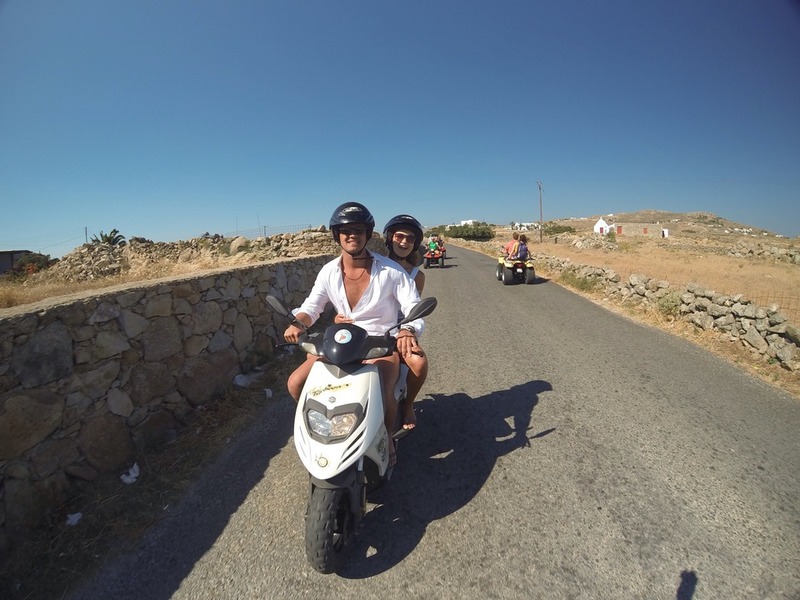 Getting around Mykonos by foot also is great way. 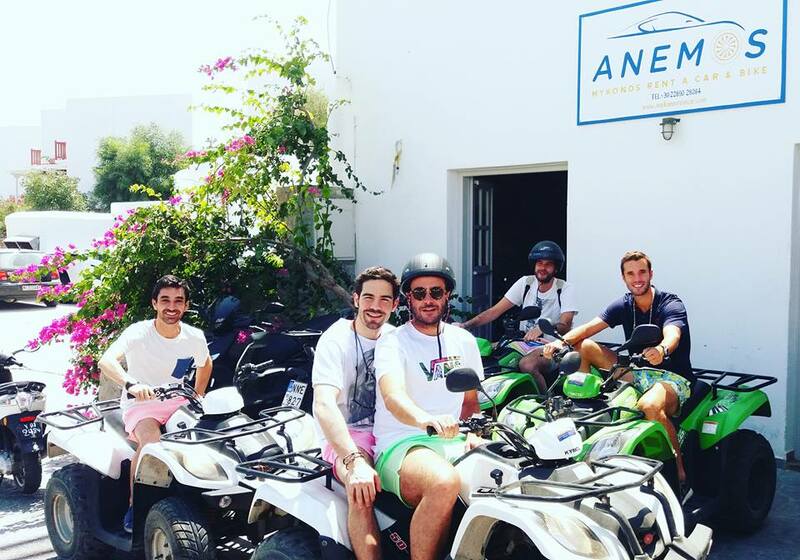 Getting around Mykonos is quite easy, you can use bus, taxi, car, scooter, ATV, water taxi or foot. 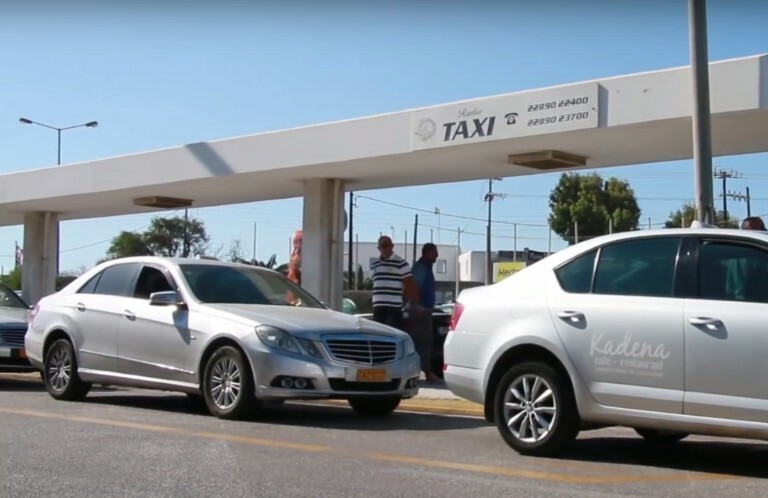 Officially, there are buses, taxis and self-driving cars on the island. 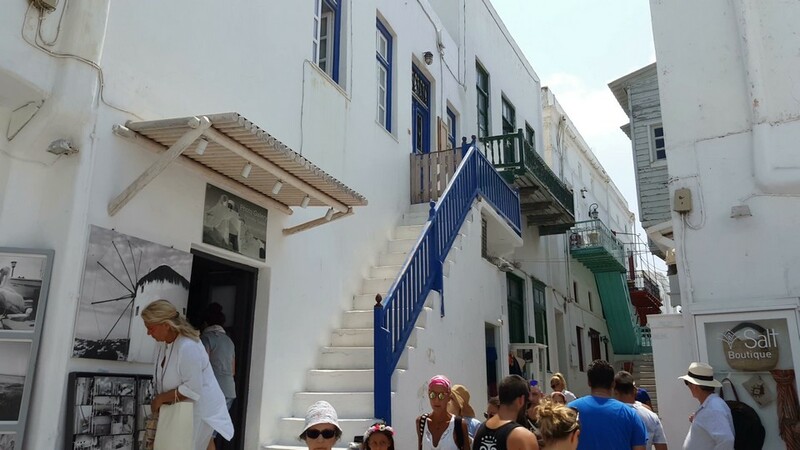 However, according to our experience, if you want to saving money, you should use the bus, although a bit crowded but quite convenient and go to most of the main attractions on the island. 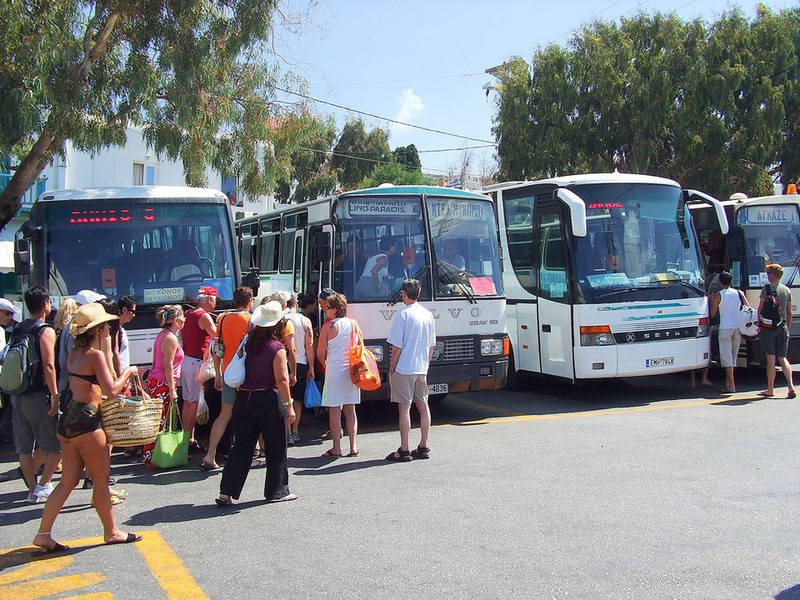 There are 2 main bus stations on the island, one is located behind the Archaeological Museum and the other is at Fabrika square. 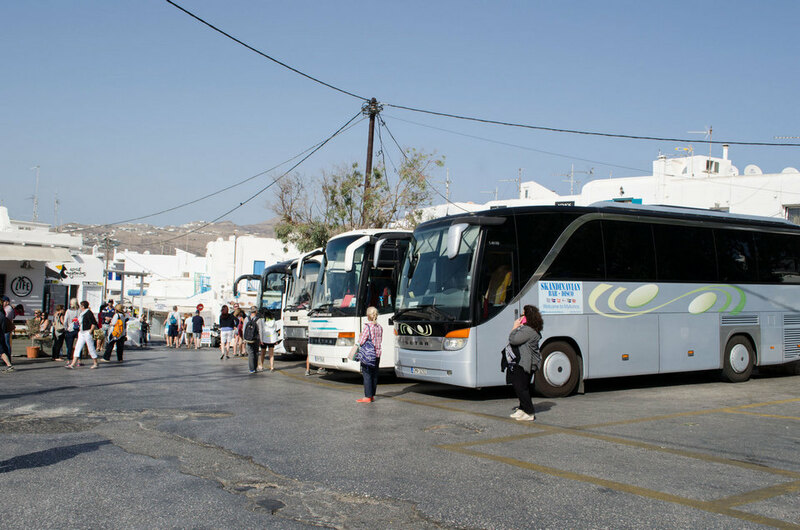 Bus prices will be around 2-4 EUR / trip. If you have an international driver’s license, you can hire a self-driving car. 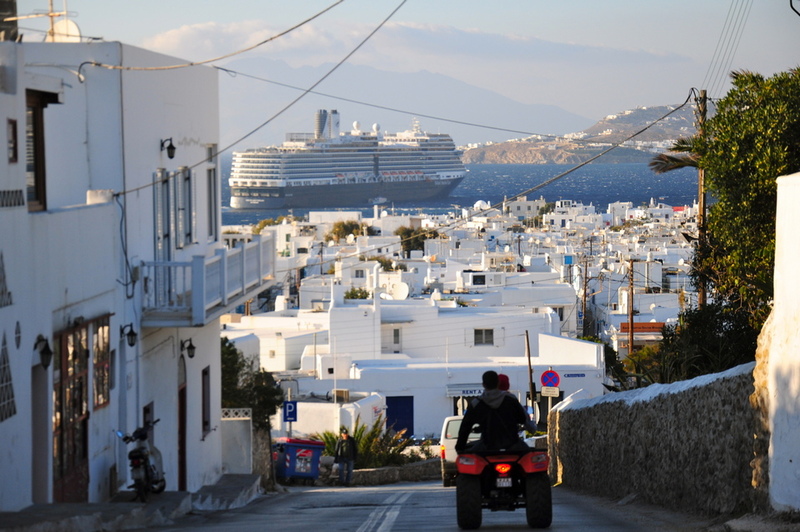 However, this option is only for skilled drivers because the roads on the island are zigzag and the people and tourists are quite crowded, making it difficult to move, will be a bit stressful. Cars and motorbikes are all available in shops in town. This way is quite active and reaches even places where the bus can not go. 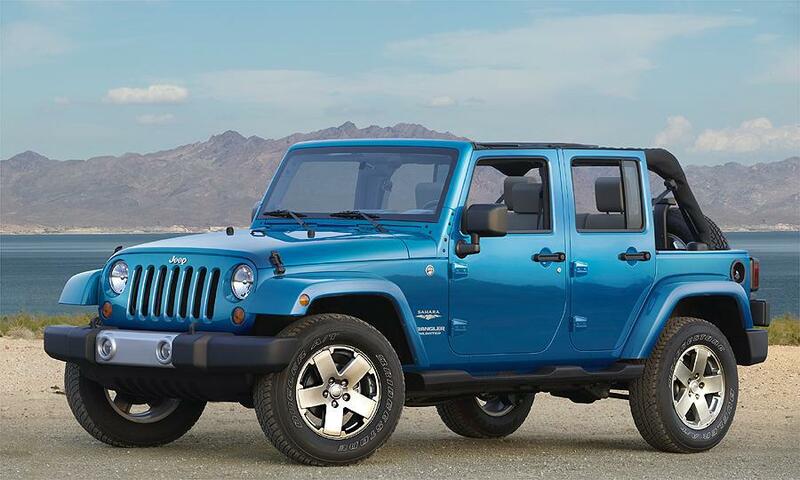 Car rental prices range from $12/day to $71/day depending on type or car. You can refer to car rental service here. Taxi in Chora Town center. 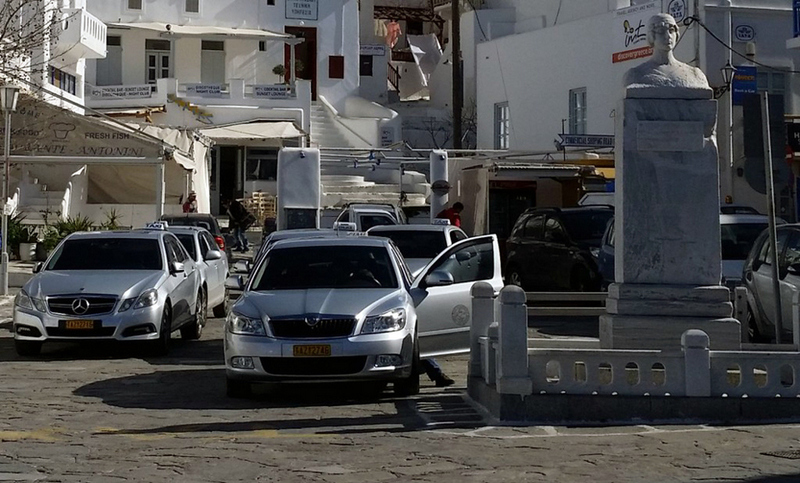 Taxi prices on Mykonos Island are quite high and they do not calculate follow taximeter but prices based on destinations. Prices will be fixed annually, different between years and between seasons. 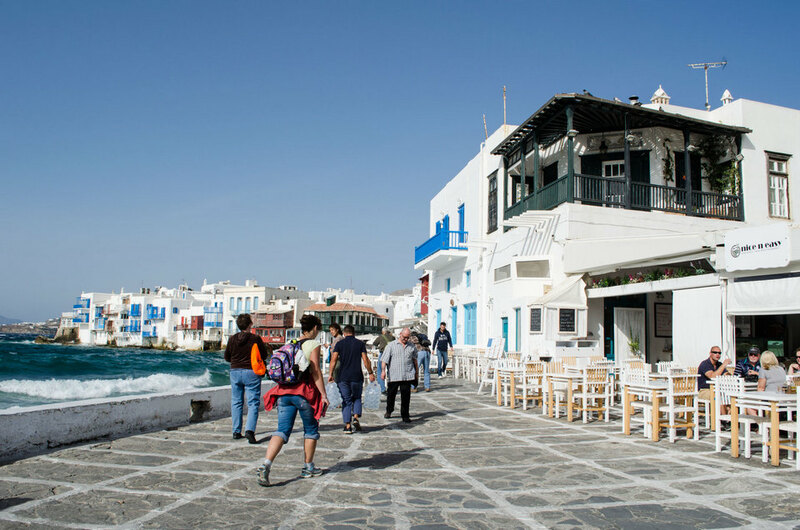 You can find the Taxi Price List at the taxi station, located right in the island’s main square, near the Manto Mavrogenenous statue. 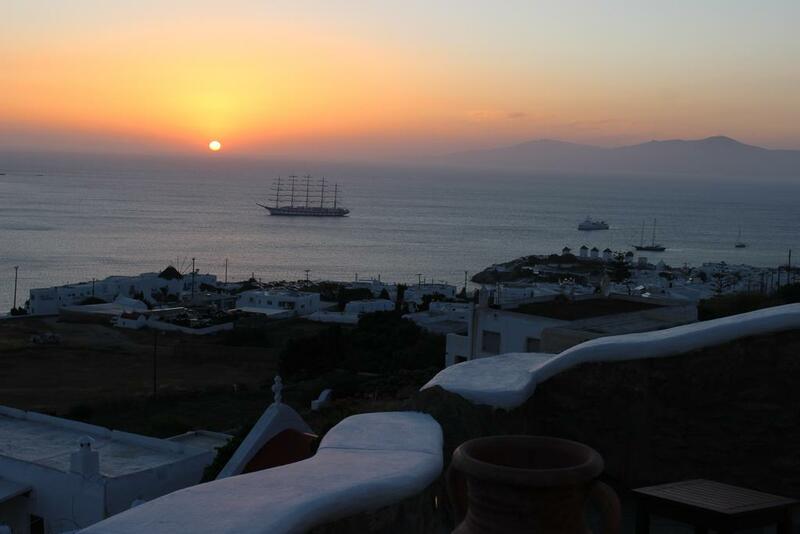 If you traveling by taxi we recommended to book in advance, because there are only about 30 taxis on the island. If you compare with the demand of tourists, you can guess the demand exceeds the supply and you always have to waiting for at least 30 minutes. Taxi prices are quite expensive, around 25-30 EUR for a journey. 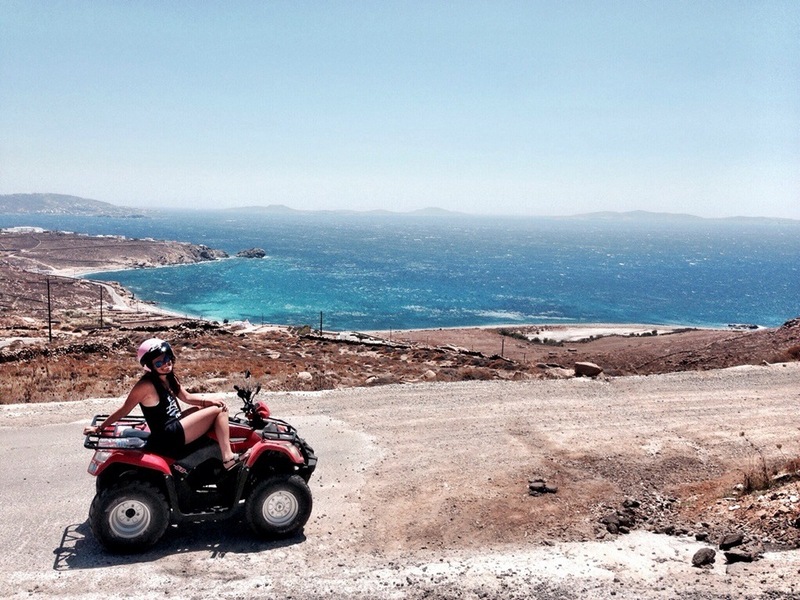 In addition, there are ATVs, scooters on the island, which is also a vehicle that is considered to be quite safe and convenient for you if you want to move to the tourist sites located in the town, the ticket price is only equal bus price. 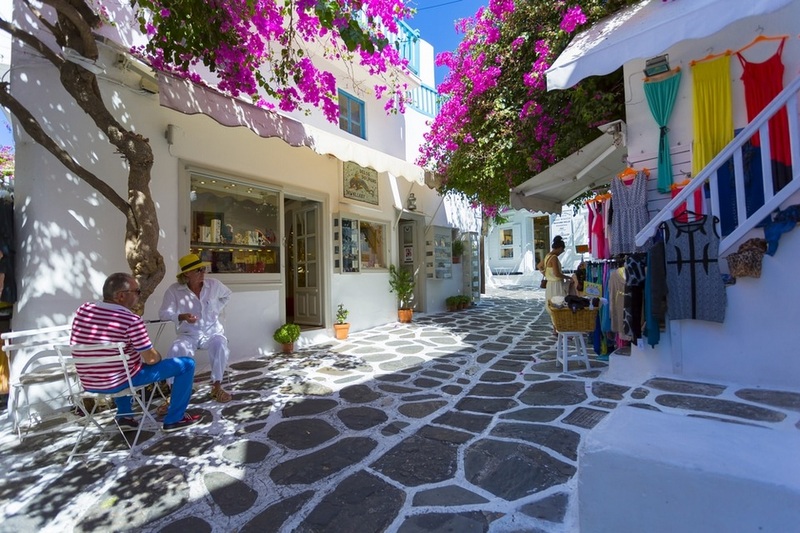 Cycling around the island will also be a great experience, you can easily find a rental bike in the town center. Bike rental is only about 3-5 EUR / day. 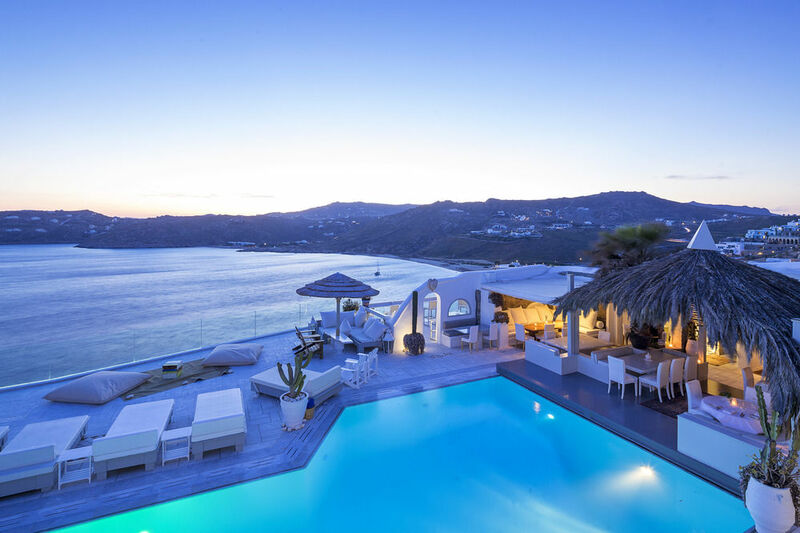 Mykonos travel guide blog: Where to stay? 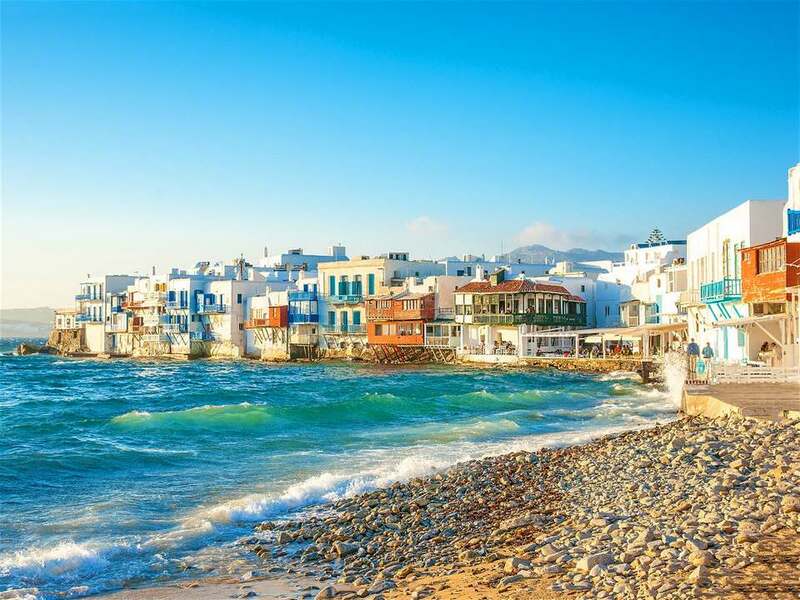 Although Mykonos is small, only about 105 square kilometers, there are two quite contrasting areas here, depending on your preferences and budget for you to choose. 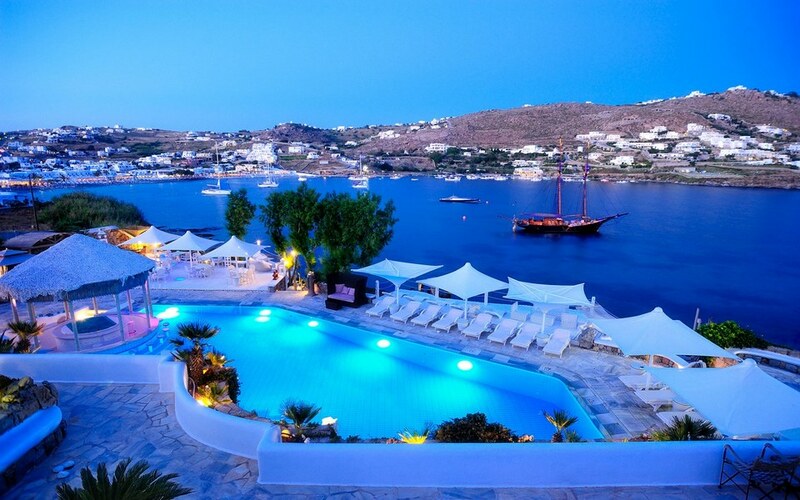 For those who love vibrant, excitement, gather and party overnight or simply sit and watch the sea at night. 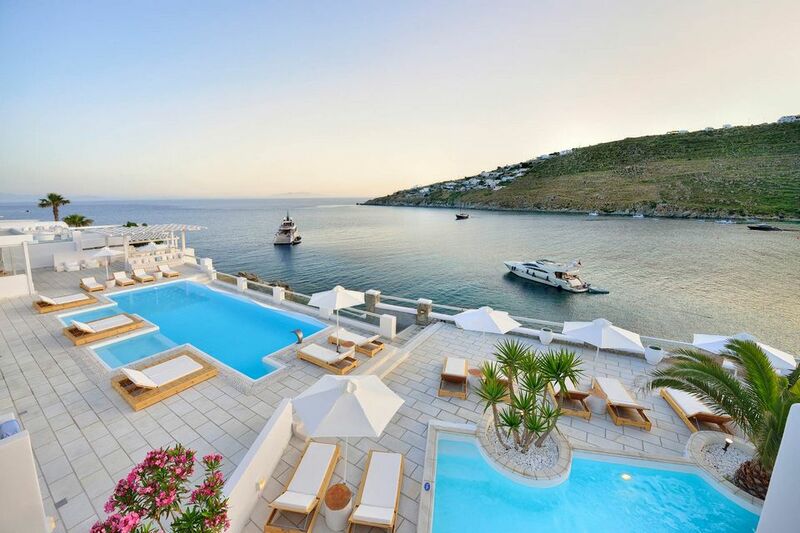 Grace Mykonos Auberge Resorts Collection. 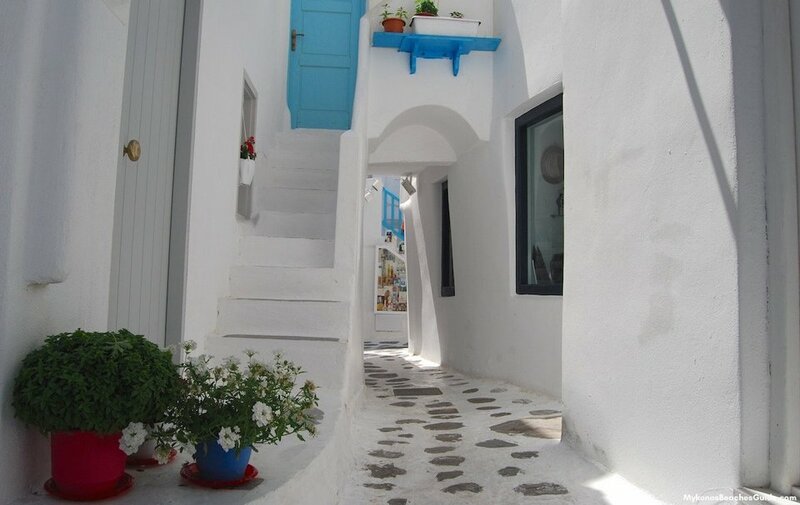 Picture: mykonos travel blog. 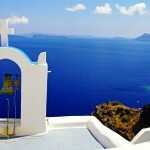 You can find more, check rates, availability & booking for Mykonos hotels on Agoda.com or Booking.com. 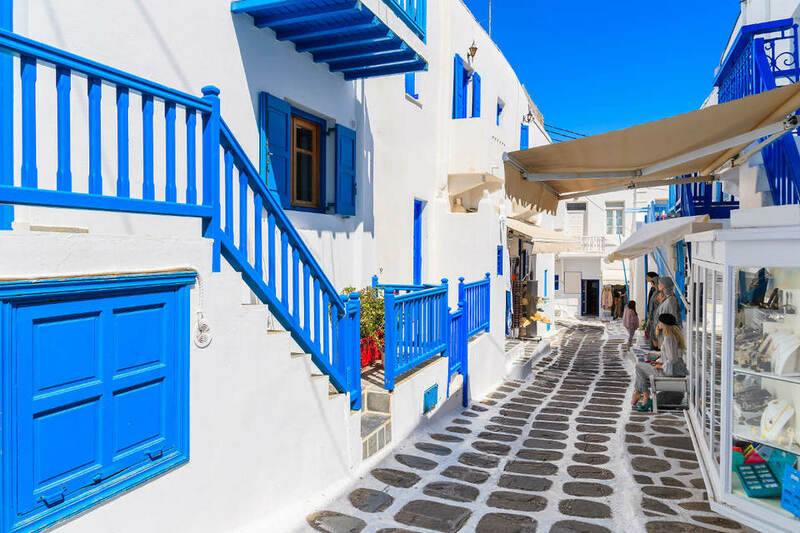 Also known as Chora, Mykonos town is an architectural gem with narrow marble paved roads, beautiful small shops, art galleries, and charming outdoor cafes. 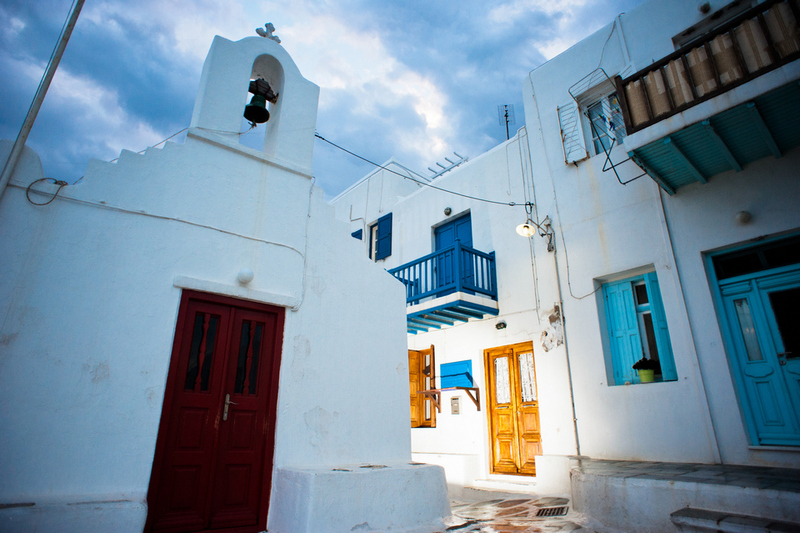 Wandering around the town center, visitors can visit the famous Panagia Paraportiani church with its distinctive white lime mortar architecture. 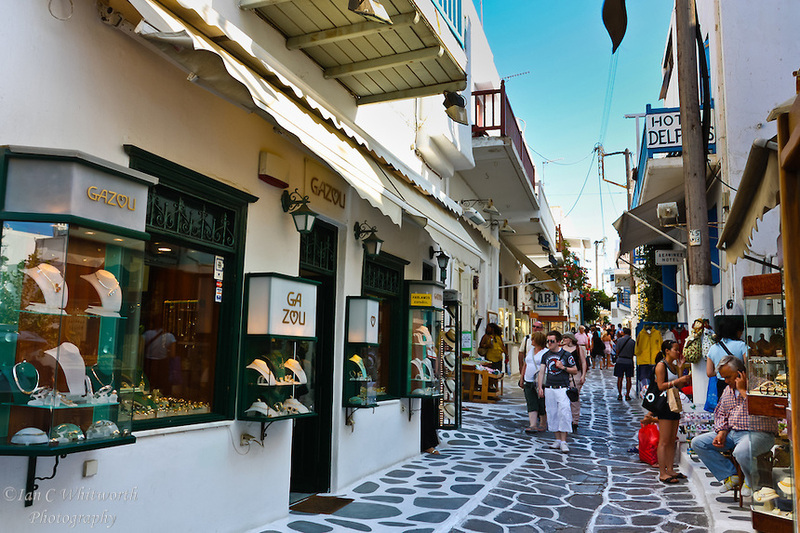 Just wandering in the streets of Mykonos Town has already liked it, but looking at the shops is also an interesting thing not to be missed. 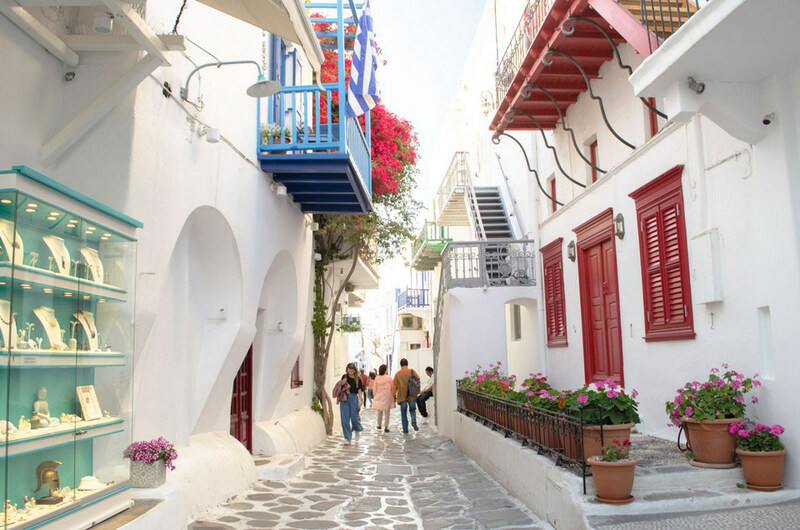 Unlike Athens, the streets here are intertwined like labyrinths, so you also should not care about the street names, mainly go follow your inspired. 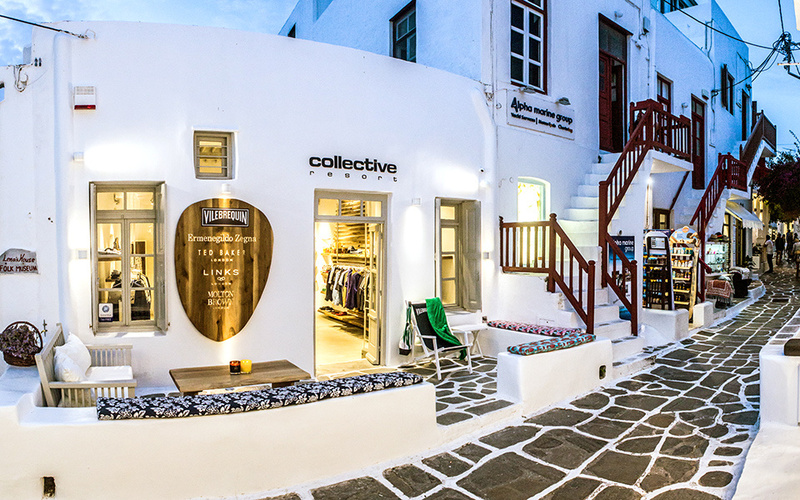 The shops here are countless, but not as close together as stores in Athens but separated in small houses, each store has its own unique features even from the display. 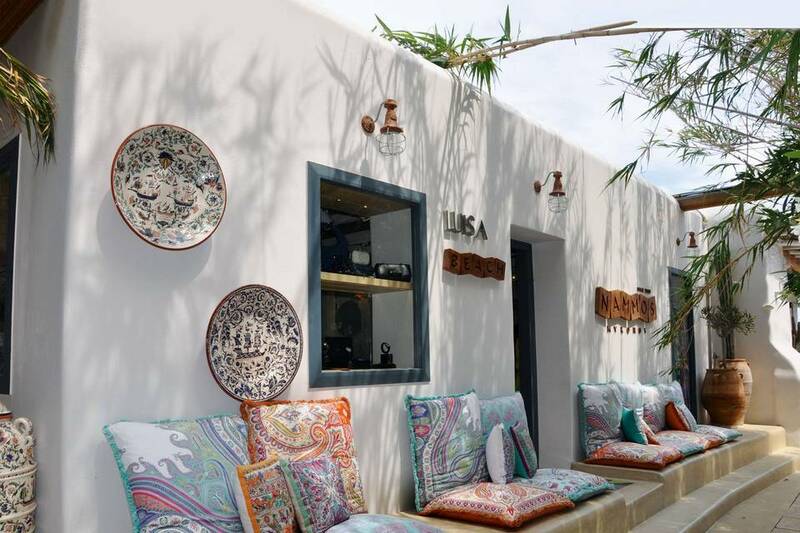 And you can find a lot of fashion and jewelry items, elegant accessories, to more popular stores with already hanged glasses, clothes, hats…outside for customers to choose from. 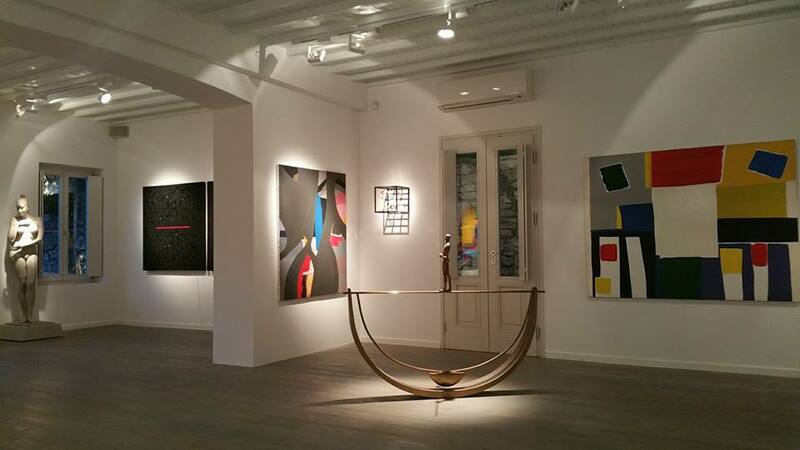 In general, the girls who turned into this area, will make sure to buy something. Another interesting thing like is that most houses have stairs in the alcoves where visitors can comfortably rest if they like. 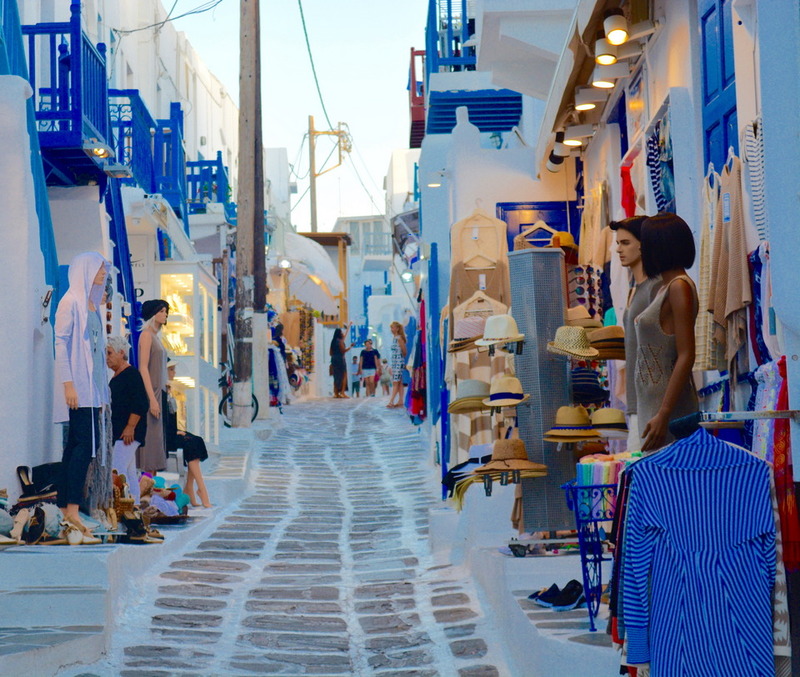 There is a little note that everything is very beautiful, but the price at stores in Mykonos is higher than that in Athens, so you can buy some souvenir items from the island, but if you want to really shopping, you should wait until back to Athens. 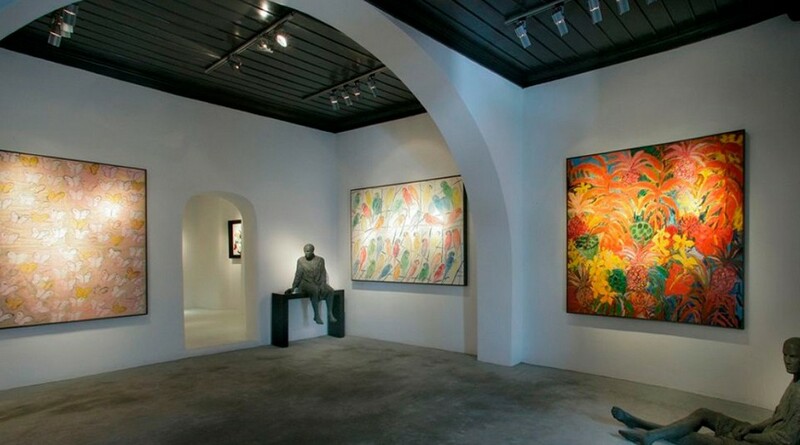 In addition to the beautiful houses and souvenir shops, Mykonos has many modern art galleries for art lovers, free admission. 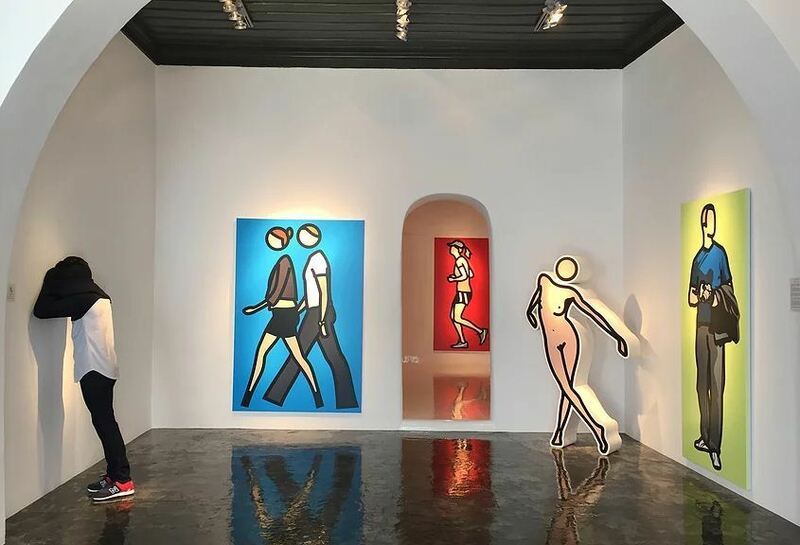 Suggest some places you should visit: Rarity Gallery, Spyral Art Gallery, Skoufa Gallery and Big White Gallery, all located in Mykonos Town so you can walk a few steps. 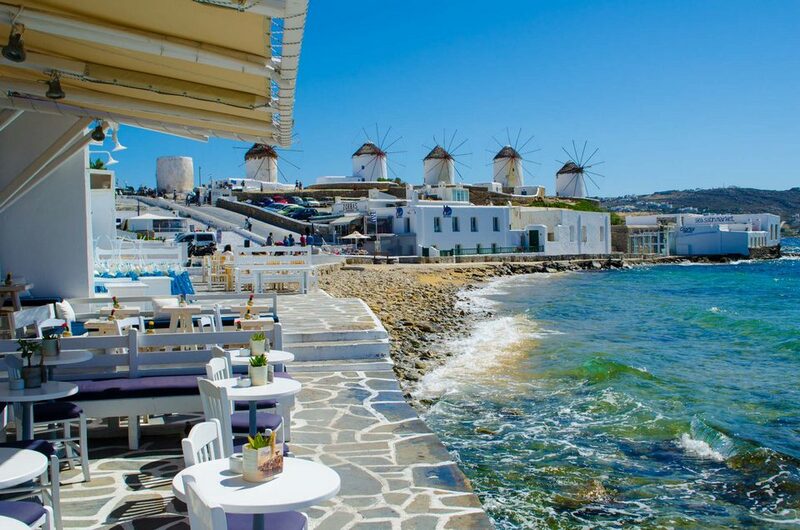 Windmills are symbol of Mykonos Island. The windmills here look very special, although not as beautiful as the windmills in the suburbs of Holland. 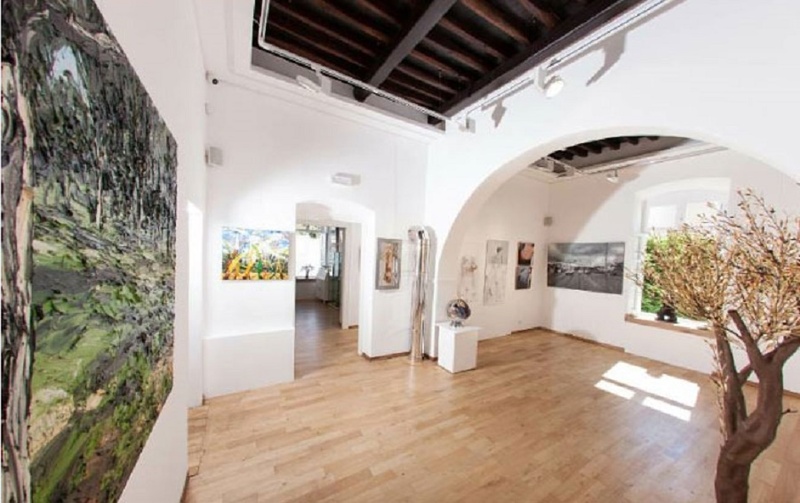 The windmill is round shape, white, with pointed roofs and tiny windows. 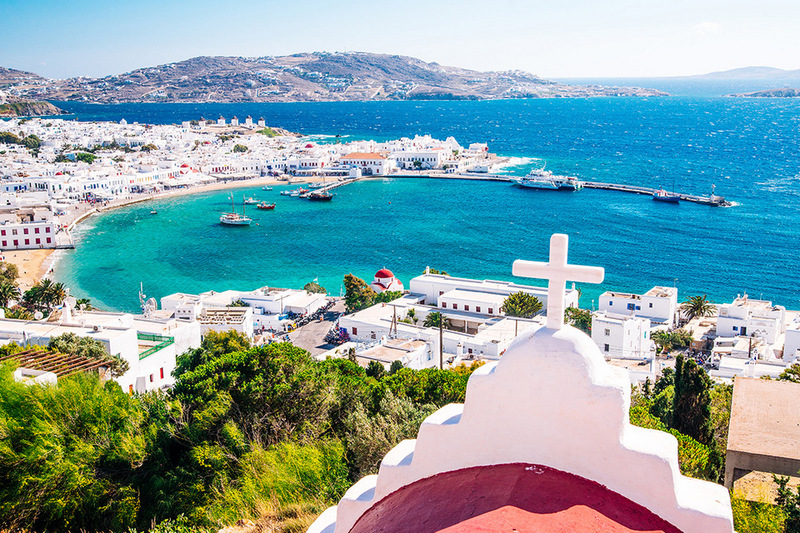 Total have 16 windmills on Mykonos Island, of which 5 are located atop Chora hill. 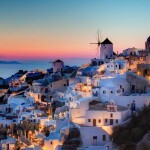 Wherever you are on the island you will also see 5 windmills on Chora hill. These windmills were mostly built in the 16th century to grind wheat. 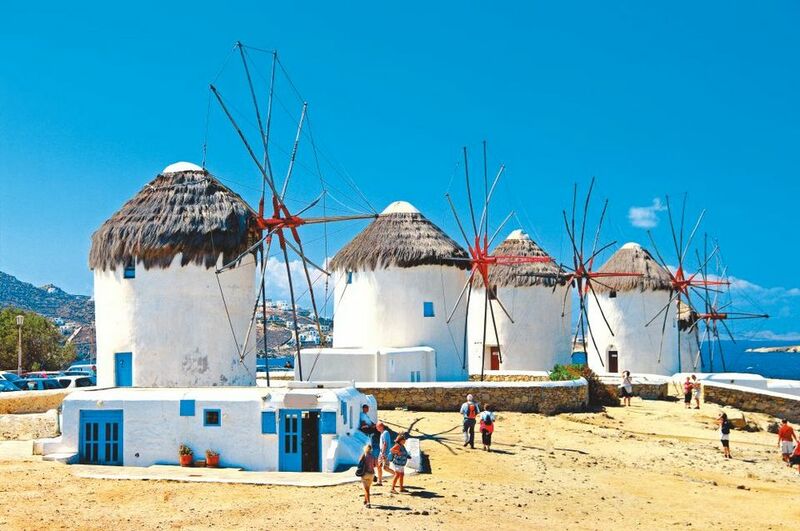 In the middle of the 20th century, windmills were no longer used, but just a tourist symbol of the island. 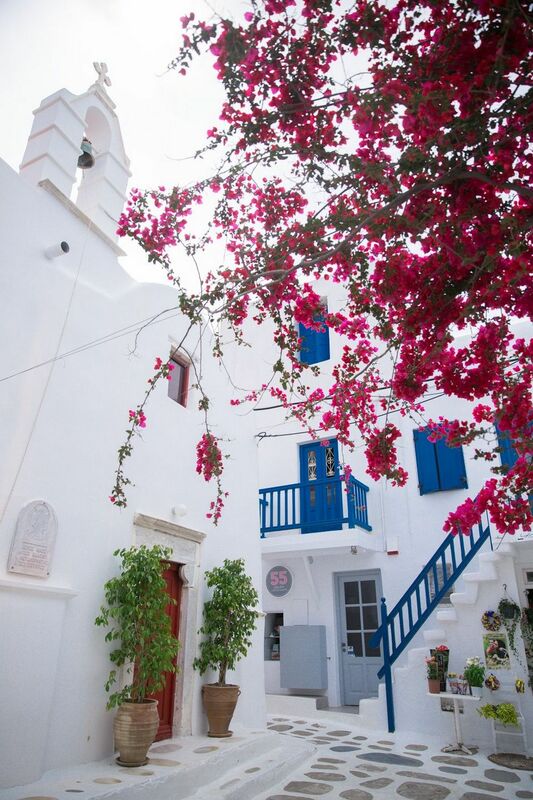 The symbol of Mykonos. 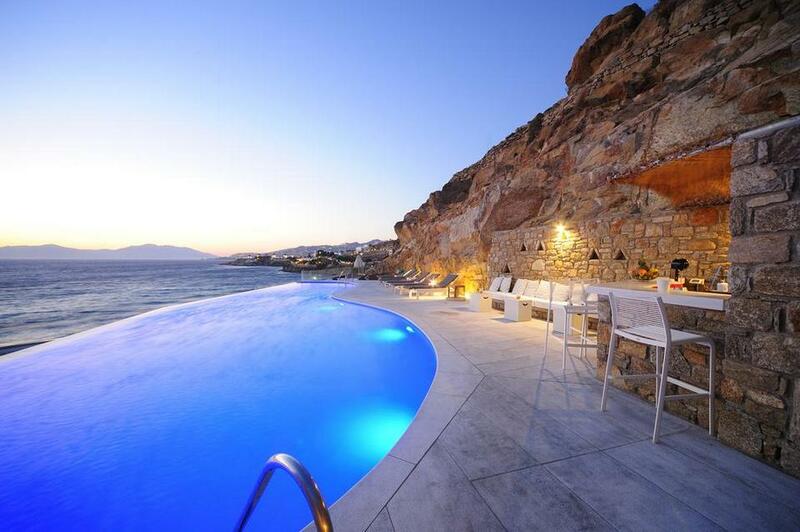 Picture: mykonos travel blog. Windmills seen from Little Venice at foot of Chora Hill. 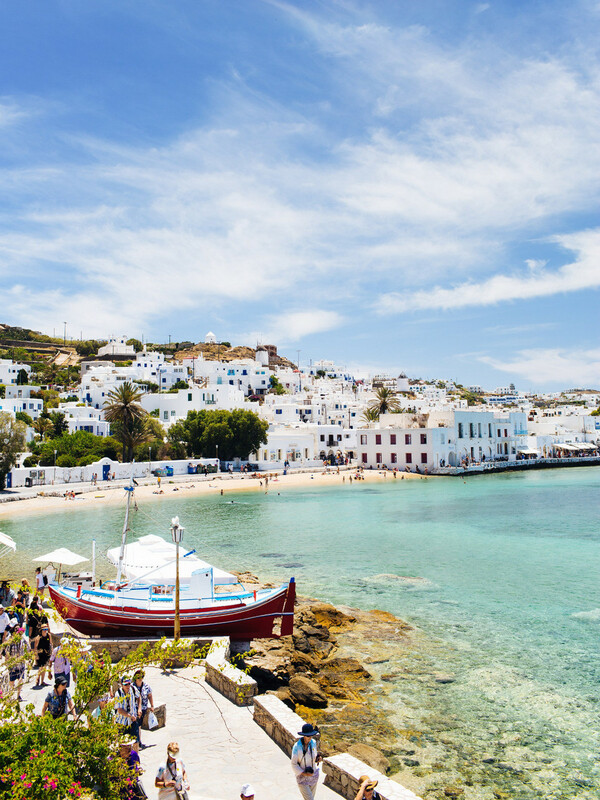 Credit: mykonos travel guide blog. 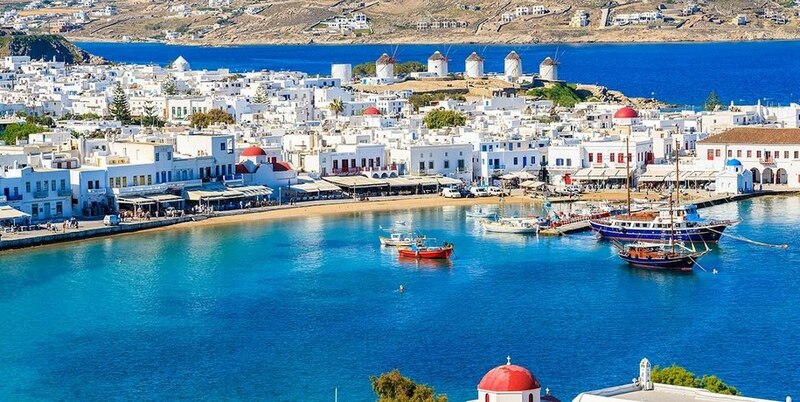 Today, there are only 16 windmills left in Mykonos. 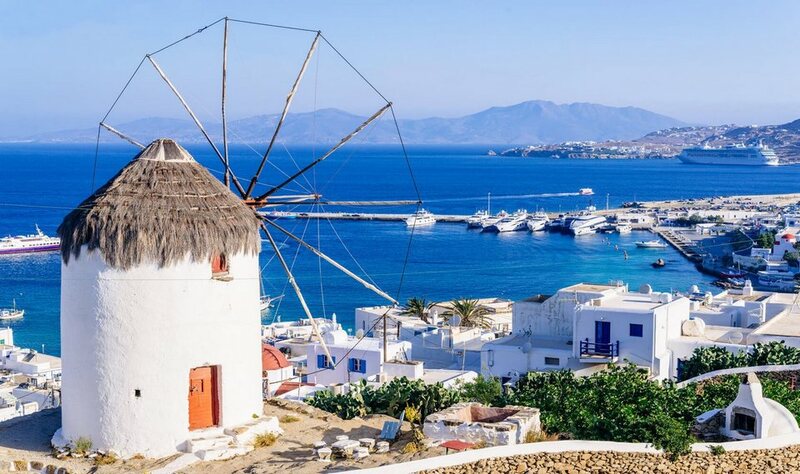 In particular, the majority of visitors traveling to the island to visit the 5 most famous windmills are collectively known as Kato Mili (Kato Mili in Greek means windmill). 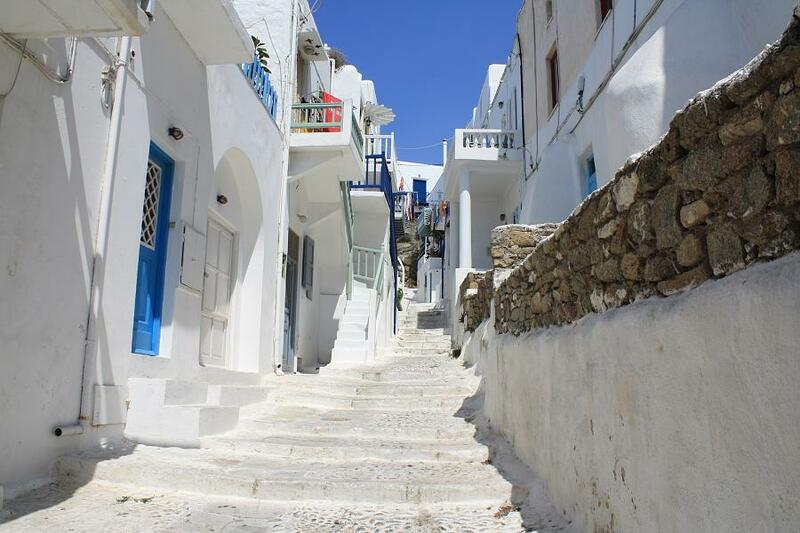 They are lined up along a hill in Chora, the island’s central town.